For other places with the same name, see Newark (disambiguation). "Brick City" redirects here. For other uses, see Brick City (disambiguation). Newark (/ˈnjuːərk/, locally /njʊərk/) is the most populous city in the U.S. state of New Jersey and the seat of Essex County. As one of the nation's major air, shipping, and rail hubs, the city had a population of 285,154 in 2017, making it the nation's 70th-most populous municipality, after being ranked 63rd in the nation in 2000. "The Brick City", "The Gateway City"
Settled in 1666 by Puritans from New Haven Colony, Newark is one of the oldest cities in the United States. Its location at the mouth of the Passaic River (where it flows into Newark Bay) has made the city's waterfront an integral part of the Port of New York and New Jersey. Today, Port Newark–Elizabeth is the primary container shipping terminal of the busiest seaport on the American East Coast. In addition, Newark Liberty International Airport was the first municipal commercial airport in the United States, and today is one of its busiest. Several leading companies have their headquarters in Newark, including Prudential, PSEG, Panasonic Corporation of North America, Audible.com, IDT Corporation, and Manischewitz. A number of important higher education institutions are also in the city, including the Newark campus of Rutgers University (which includes law and medical schools and the Rutgers Institute of Jazz Studies); the New Jersey Institute of Technology; and Seton Hall University's law school. The U.S. District Court for the District of New Jersey sits in the city as well. Local cultural venues include the New Jersey Performing Arts Center, Newark Symphony Hall, the Prudential Center and the Newark Museum. Newark is divided into five political wards (the East, West, South, North and Central wards) and contains neighborhoods ranging in character from bustling urban districts to quiet suburban enclaves. Newark's Branch Brook Park is the oldest county park in the United States and is home to the nation's largest collection of cherry blossom trees, numbering over 5,000. Newark was settled in 1666 by Connecticut Puritans led by Robert Treat from the New Haven Colony. It was conceived as a theocratic assembly of the faithful, though this did not last for long as new settlers came with different ideas. On October 31, 1693, it was organized as a New Jersey township based on the Newark Tract, which was first purchased on July 11, 1667. Newark was granted a Royal charter on April 27, 1713. It was incorporated on February 21, 1798 by the New Jersey Legislature's Township Act of 1798, as one of New Jersey's initial group of 104 townships. During its time as a township, portions were taken to form Springfield Township (April 14, 1794), Caldwell Township (February 16, 1798; now known as Fairfield Township), Orange Township (November 27, 1806), Bloomfield Township (March 23, 1812) and Clinton Township (April 14, 1834, remainder reabsorbed by Newark on March 5, 1902). Newark was reincorporated as a city on April 11, 1836, replacing Newark Township, based on the results of a referendum passed on March 18, 1836. The previously independent Vailsburg borough was annexed by Newark on January 1, 1905. In 1926, South Orange Township changed its name to Maplewood. As a result of this, a portion of Maplewood known as Ivy Hill was re-annexed to Newark's Vailsburg. The name of the city is thought to derive from Newark-on-Trent, England, because of the influence of the original pastor, Abraham Pierson, who came from Yorkshire but may have ministered in Newark, Nottinghamshire. But Pierson is also supposed to have said that the community reflecting the new task at hand should be named "New Ark" for "New Ark of the Covenant and some of the colonists saw it as "New-Work", the settlers' new work with God. Whatever the origins, the name was shortened to Newark, although references to the name "New Ark" are found in preserved letters written by historical figures such as David Ogden in his claim for compensation, and James McHenry, as late as 1787. During the American Revolutionary War, British troops made several raids into the town. The city saw tremendous industrial and population growth during the 19th century and early 20th century, and experienced racial tension and urban decline in the second half of the 20th century, culminating in the 1967 Newark riots. The city has experienced revitalization since the 1990s. In 2018 the city passed legislation to protect residents from displacement brought about by gentrification. According to the United States Census Bureau, the city had a total area of 26.107 square miles (67.617 km2), including 24.187 square miles (62.644 km2) of land and 1.920 square miles (4.973 km2) of water (7.35% was water). It has the third-smallest land area among the 100 most populous cities in the U.S., behind neighboring Jersey City and Hialeah, Florida. The city's altitude ranges from 0 (sea level) in the east to approximately 230 feet (70 m) above sea level in the western section of the city. Newark is essentially a large basin sloping towards the Passaic River, with a few valleys formed by meandering streams. Historically, Newark's high places have been its wealthier neighborhoods. In the 19th century and early 20th century, the wealthy congregated on the ridges of Forest Hill, High Street, and Weequahic. Until the 20th century, the marshes on Newark Bay were difficult to develop, as the marshes were essentially wilderness, with a few dumps, warehouses, and cemeteries on their edges. During the 20th century, the Port Authority of New York and New Jersey was able to reclaim 68 acres (28 ha) of the marshland for the further expansion of Newark Airport, as well as the growth of the port lands. Newark is surrounded by residential suburbs to the west (on the slope of the Watchung Mountains), the Passaic River and Newark Bay to the east, dense urban areas to the south and southwest, and middle-class residential suburbs and industrial areas to the north. The city is the largest in New Jersey's Gateway Region, which is said to have received its name from Newark's nickname as the "Gateway City". Newark is New Jersey's largest and second-most racially diverse city (after neighboring Jersey City). It is divided into five political wards, which are often used by residents to identify their place of habitation. In recent years, residents have begun to identify with specific neighborhood names instead of the larger ward appellations. Nevertheless, the wards remain relatively distinct. Industrial uses, coupled with the airport and seaport lands, are concentrated in the East and South Wards, while residential neighborhoods exist primarily in the North, Central, and West Wards. State law requires that wards be compact and contiguous and that the largest ward may not exceed the population of the smallest by more than 10% of the average ward size. Ward boundaries are redrawn, as needed, by a board of ward commissioners consisting of two Democrats and two Republicans appointed at the county level and the municipal clerk. Redrawing of ward lines in previous decades have shifted traditional boundaries, so that downtown currently occupies portions of the East and Central Wards. The boundaries of the wards are altered for various political and demographic reasons and sometimes gerrymandered, especially the northeastern portion of the West Ward. Many houses and apartments in The Ironbound are embellished with elaborate azulejos. One common image is Our Lady of Fatima, seen here. Newark's Central Ward, formerly known as the old Third Ward, contains much of the city's history including the original squares Lincoln Park, Military Park and Washington Park. The Ward contains the University Heights, The Coast/Lincoln Park, Government Center, Springfield/Belmont and Seventh Avenue neighborhoods. Of these neighborhood designations only University Heights, a more recent designation for the area that was the subject of the 1968 novel Howard Street by Nathan Heard, is still in common usage. The Central Ward extends at one point as far north as 2nd Avenue. In the 19th century, the Central Ward was inhabited by Germans and other white Catholic and Christian groups. The German inhabitants were later replaced by Jews, who were then replaced by Blacks. The increased academic footprint in the University Heights neighborhood has produced gentrification, with landmark buildings undergoing renovation. Located in the Central Ward is the nation's largest health sciences university, UMDNJ-New Jersey Medical School. It is also home to three other universities – New Jersey Institute of Technology (NJIT), Rutgers University – Newark, and Essex County College. The Central Ward forms the present-day heart of Newark, and includes 26 public schools, two police precincts, including headquarters, four firehouses, and one branch library. The North Ward is surrounded by Branch Brook Park. Its neighborhoods include Broadway, Mount Pleasant, Upper Roseville and the affluent Forest Hill section. Forest Hill contains the Forest Hill Historic District, which is registered on state and national historic registers, and contains many older mansions and colonial homes. A row of residential towers with security guards and secure parking line Mt. Prospect Avenue in the Forest Hill neighborhood. The North Ward has lost geographic area in recent times; its southern boundary is now significantly further north than the traditional boundary near Interstate 280. The North Ward historically had a large Italian population; demographics have transitioned to Latino in recent decades, though the ward as a whole remains ethnically diverse. The West Ward comprises the neighborhoods of Vailsburg, Ivy Hill, West Side, Fairmount and Lower Roseville. It is home to the historic Fairmount Cemetery. The West Ward, once a predominantly Irish-American, Polish, and Ukrainian neighborhood, is now home to neighborhoods composed primarily of Latinos, African Americans, and Caribbean Americans. The West Ward has struggled in recent years with elevated rates of crime, particularly violent crime. The South Ward comprises the Weequahic, Clinton Hill, Dayton, and South Broad Valley neighborhoods. The South Ward, once home to residents of predominantly Jewish descent, now has ethnic neighborhoods made up primarily of African Americans and Hispanics. The South Ward is represented by Council Member John Sharpe James. The city's second-largest hospital, Newark Beth Israel Medical Center, can be found in the South Ward, as can 17 public schools, five daycare centers, three branch libraries, one police precinct, a mini precinct, and three fire houses. The East Ward consists of much of Newark's Downtown commercial district, as well as the Ironbound neighborhood, where much of Newark's industry was in the 19th century. Today, due to the enterprise of its immigrant population, the Ironbound (also known as "Down Neck" and "The Neck") is a destination for shopping, dining, and nightlife. A historically immigrant-dominated section of the city, the Ironbound in recent decades has been termed "Little Portugal" and "Little Brazil" due to its heavily Portuguese and Brazilian population, Newark being home to one of the largest Portuguese speaking communities in the United States. In addition, the East Ward has become home to various Latin Americans, African Americans, and commuters to Manhattan. Public education in the East Ward consists of East Side High School and six elementary schools. The ward is largely composed of densely packed housing, primarily large apartment buildings and rowhouses. Newark lies in the transition between a humid subtropical and humid continental climate (Köppen Cfa/Dfa), with cold, damp winters and hot, humid summers. The January daily mean is 31.6 °F (−0.2 °C), and although temperatures below 10 °F (−12 °C) are to be expected in most years, sub-0 °F (−18 °C) readings are rare; conversely, some days may warm up to 50 °F (10 °C). The average seasonal snowfall is 29.5 inches (75 cm), though variations in weather patterns may bring sparse snowfall in some years and several major nor'easters in others, with the heaviest 24-hour fall of 25.9 inches (66 cm) occurring on December 26, 1947. Spring and autumn in the area are generally unstable yet mild. The July daily mean is 77.4 °F (25.2 °C), and highs exceed 90 °F (32 °C) on an average 27 days per year, not factoring in the oft-higher heat index. The city receives precipitation ranging from 2.9 to 4.8 inches (74 to 122 mm) per month, usually falling on 8 to 12 days per month. Extreme temperatures have ranged from −14 °F (−26 °C) on February 9, 1934 to 108 °F (42 °C) on July 22, 2011. * = Territory change in previous decade. The city had a population of 277,140 as of the 2010 Census, retaining its position as the largest city in the state and making it the nation's 67th-most populous municipality. The increase in 2010 of 3,594 (+1.3%) from the 273,546 counted in the 2000 Census marked the second census in 70 years in which the city's population had grown from the previous enumeration. After reaching a peak of 442,337 residents counted in the 1930 Census, the city's population saw a decline of nearly 40% as residents moved to surrounding suburbs. "White flight" from Newark to the suburbs started in the 1940s and accelerated in the 1960s, due in part to the construction of the Interstate Highway System. The 1967 riots resulted in a significant population loss of the city's middle class, many of them Jewish, which continued from the 1970s through to the 1990s. The city lost about 130,000 residents between 1960 and 1990. From the 1950s to 1967, Newark's white population shrank from 363,000 to 158,000; its black population grew from 70,000 to 220,000. The percentage of Non-Hispanic whites declined from 82.8% in 1950 to 11.6% by 2010. The percentage of Latinos in Newark grew between 1980 and 2010, from 18.6% to 33.8% while that of Blacks decreased from 58.2% to 52.4%. Poverty remains a consistent problem in Newark, despite its revitalization in recent years. As of 2010, roughly one-third of the city's population was impoverished. In advance of the 2000 United States Census, city officials made a push to get residents to respond and participate in the enumeration, citing calculations by city officials that as many as 30,000 people were not reflected in estimates from the Census Bureau, which resulted in the loss of government aid and political representation. It is believed that heavily immigrant areas of Newark were significantly undercounted in the 2010 Census, especially in the East Ward. Many households refused to participate in the census, with immigrants often reluctant to submit census forms because they believed that the information could be used to justify their deportation. As of the 2010 United States Census, there were 277,140 people, 94,542 households, and 61,641.384 families residing in the city. The population density was 11,458.3 per square mile (4,424.1/km2). There were 109,520 housing units at an average density of 4,528.1 per square mile (1,748.3/km2). The racial makeup of the city was 26.31% (72,914) White, 52.35% (145,085) Black or African American, 0.61% (1,697) Native American, 1.62% (4,485) Asian, 0.04% (118) Pacific Islander, 15.22% (42,181) from other races, and 3.85% (10,660) from two or more races. Hispanic or Latino of any race were 33.83% (93,746) of the population. There were 94,542 households out of which 33.7% had children under the age of 18 living with them, 28.0% were married couples living together, 28.9% had a female householder with no husband present, and 34.8% were non-families. 27.9% of all households were made up of individuals, and 8.2% had someone living alone who was 65 years of age or older. The average household size was 2.76 and the average family size was 3.36. In the city, the population was spread out with 25.6% under the age of 18, 11.9% from 18 to 24, 31.9% from 25 to 44, 22.1% from 45 to 64, and 8.6% who were 65 years of age or older. The median age was 32.3 years. For every 100 females there were 97.9 males. For every 100 females ages 18 and older there were 96.3 males. The Census Bureau's 2006–2010 American Community Survey showed that (in 2010 inflation-adjusted dollars) median household income was $35,659 (with a margin of error of +/− $1,009) and the median family income was $41,684 (+/− $1,116). Males had a median income of $34,350 (+/− $1,015) versus $32,865 (+/− $973) for females. The per capita income for the city was $17,367 (+/− $364). About 22.0% of families and 25.0% of the population were below the poverty line, including 34.9% of those under age 18 and 22.4% of those age 65 or over. Newark was the 64th-most populous city as of the 2000 Census. As of the 2000 United States Census there were 273,546 people, 91,382 households, and 61,956 families residing in the city. The population density was 11,495.0 per square mile (4,437.7/km²). There were 100,141 housing units at an average density of 4,208.1 per square mile (1,624.6//km²). The racial makeup of the city as of the 2000 Census was 53.46% (146,250) African American, 26.52% (72,537) White, 1.19% (3,263) Asian, 0.37% (1,005) Native American, 0.05% (135) Pacific Islander, 14.05% (38,430) from other races, and 4.36% (11,926) from two or more races. 29.47% (80,622) of the population were Hispanic or Latino of any race. As of the 2000 Census, 49.2% of the city's 80,622 residents who identified themselves as Hispanic or Latino were from Puerto Rico, while 9.4% were from Ecuador and 7.8% from the Dominican Republic. There is a significant Portuguese-speaking community concentrated in the Ironbound district. 2000 Census data showed that Newark had 15,801 residents of Portuguese ancestry (5.8% of the population), while an additional 5,805 (2.1% of the total) were of Brazilian ancestry. There were 91,382 households out of which 35.2% had children under the age of 18 living with them, 31.0% were married couples living together, 29.3% had a female householder with no husband present, and 32.2% were non-families. 26.6% of all households were made up of individuals and 8.8% had someone living alone who was 65 years of age or older. The average household size was 2.8 and the average family size was 3.40. In the city the age distribution of the population shows 27.9% under the age of 18, 12.1% from 18 to 24, 32.0% from 25 to 44, 18.7% from 45 to 64, and 9.3% who were 65 years of age or older. The median age was 31 years. For every 100 females, there were 94.2 males. For every 100 females of age 18 and over, there were 91.1 males. The median income for a household in the city was $26,913, and the median income for a family was $30,781. Males had a median income of $29,748 versus $25,734 for females. The per capita income for the city was $13,009. 28.4% of the population and 25.5% of families were below the poverty line. 36.6% of those under the age of 18 and 24.1% of those 65 and older were living below the poverty line. The city's unemployment rate was 8.5%. More than 100,000 people commute to Newark each workday, making it the state's largest employment center with many white-collar jobs in insurance, finance, import-export, health-care, and government. As a major courthouse venue including federal, state, and county facilities, it is home to more than 1,000 law firms. The city is also a college town, with nearly 50,000 students attending the city's universities and medical and law schools. Its airport, maritime port, rail facilities, and highway network make Newark the busiest transshipment hub on the East Coast in terms of volume. Though Newark is not the industrial colossus of the past, the city does have a considerable amount of industry and light manufacturing. The southern portion of the Ironbound, also known as the Industrial Meadowlands, has seen many factories built since World War II, including a large Anheuser-Busch brewery that opened in 1951 and distributed 7.5 million barrels of beer in 2007. The service industry is also growing rapidly, replacing those in the manufacturing industry, which was once Newark's primary economy. In addition, transportation has become a large business in Newark, accounting for more than 17,000 jobs in 2011. Newark is one of nine cities in New Jersey designated as eligible for Urban Transit Hub Tax Credits by the state's Economic Development Authority. Developers who invest a minimum of $50 million within 0.5 miles of a train station are eligible for pro-rated tax credit. After the election of Cory Booker, millions of dollars of public-private partnership investment were made in Downtown development, but persistent underemployment continue to characterize many of the city's neighborhoods. Poverty remains a consistent problem in Newark. As of 2010, roughly one-third of the city's population was impoverished. Newark is the third-largest insurance center in the United States, after New York City and Hartford. Prudential Financial, Mutual Benefit Life, Fireman's Insurance, and American Insurance Company all originated in the city, while Prudential still has its home office in Newark. Many other companies are headquartered in the city, including IDT Corporation, NJ Transit, Public Service Enterprise Group (PSEG), Manischewitz, Horizon Blue Cross and Blue Shield of New Jersey. and Audible.com. In 2013 Panasonic moved its North American headquarters to a new 250,000-square-foot (23,000 m2) office building. Portions of Newark are part of an Urban Enterprise Zone. In addition to other benefits to encourage employment within the Zone, shoppers can take advantage of a reduced 3½% sales tax rate (versus the 7% rate charged statewide) at eligible merchants. Port Newark is the part of Port Newark-Elizabeth Marine Terminal and the largest cargo facility in the Port of New York and New Jersey. On Newark Bay, it is run by the Port Authority of New York and New Jersey and serves as the principal container ship facility for goods entering and leaving the New York metropolitan region and the northeastern quadrant of North America. The Port moved over $100 billion in goods in 2003, making it the 15th busiest in the world at the time, but was the number one container port as recently as 1985. Plans are underway for billions of dollars of improvements – larger cranes, bigger railyard facilities, deeper channels, and expanded wharves. Military Park in Downtown Newark, the town commons since 1869 and home to the Wars of America sculpture and the casual restaurant, Burg. As of 2018, the park is privately operated. Managed by a nonprofit corporation, the Military Park Partnership, which is staffed by Dan Biederman and Biederman Redevelopment Ventures, credited with transforming Manhattan's Bryant Park. The Military Park Partnership manages the programs, events, operations, security, and horticulture of the park. Lincoln Park in the Arts District, one of three original colonial-era commons in Newark. From the 1920s to the 1950s, Lincoln Park was at the southern end of Newark's jazz and nightlife strip known as "The Coast." Washington Park, the northernmost of the three original colonial-era commons in Newark. Philip Roth's narrator in Goodbye, Columbus visits the park, saying "Sitting there in the park, I felt a deep knowledge of Newark, an attachment so rooted that it could not help but branch out into affection." Riverfront Park, which stretches along the Passaic River offering the "Orange Boardwalk" walkway paths with views of the water. Riverbank Park in the Ironbound along the Passaic River. Joseph G. Minish Passaic River Waterfront and Historic Area in Newark. Branch Brook Park, home to Newark's annual Cherry Blossom Festival and the largest collection of cherry blossom trees in the United States. Designed by the Olmsted Brothers firm, who were the sons of landscape architect Frederick Law Olmsted. It is a county park run by the Essex County Park System. Weequahic Park located in the South Ward in the formerly heavily Jewish Weequahic neighborhood. It features Weequahic Lake, the largest lake in Essex County. Author Philip Roth describes the park in his historical fantasy novel The Plot Against America (2004). Weequahic is a county park in Newark that is maintained by the Essex County Park System. The non-profit Weequahic Park Sports Authority helps maintain the park. Independence Park, in the Ironbound district. Our Lady of Mt. Carmel, the Ironbound's first Italian parish and now a more Portuguese and Latin parish, faces the park. The church holds an annual June pageant and processional where a statue of the Virgin Mary is carried through the streets. Jesse Allen Park, in the Central Ward. The 8-acre (3.2 ha) Jesse Allen Park is Newark's second-largest city-owned park. It is located near several schools and youth facilities, including a well-liked Boys & Girls Club of Newark facility. As of 2017, it offered new amenities including new sports fields, skateboarding, basketball, Fitness Zone exercise stations, a water play spray area, and climate-resilient garden features. The Greater Newark Conservancy maintains the Judith L. Shipley Urban Environmental Center, and the Prudential Outdoor Learning Center. It offers urban farming and gardening displays and instruction. Mulberry Commons is a planned park between Prudential Center and Penn Station near what was once the heart of Newark's Chinatown. Nat Turner Park. Dedicated in July 2009, Newark's largest city-owned park is located in the Central Ward. It is named for the famous 19th-century American slave rebellion leader, Nat Turner. Vailsburg Park, covering 30.32 acres (12.27 ha), is in the Vailsburg neighborhood. Veterans Memorial Park is a county park operated by the Essex County Park System. West Side Park is a 30.36-acre (12.29 ha) park in the West Side neighborhood. Weequahic Golf Course is an 18-hole public course. The facility was described in 2016 by the Golf Channel as a "hidden gem". Home to The First Tee Program of Essex County and golf pro Wiley Williams, who was one of the first African-American golfers to win a major New Jersey golf event and works to introduce city youth to the sport. There are several notable Beaux-Arts buildings, such as the Veterans' Administration building, the Newark Museum, the Newark Public Library, and the Cass Gilbert-designed Essex County Courthouse. Notable Art Deco buildings include several 1930s era skyscrapers, such as the National Newark Building and Eleven 80, the restored Newark Penn Station, and Arts High School. Gothic architecture can be found at the Cathedral of the Sacred Heart by Branch Brook Park, which is one of the largest gothic cathedrals in the United States. It is rumored to have as much stained glass as the Cathedral of Chartres. Newark also has two public sculpture works by Gutzon Borglum—Wars of America in Military Park and Seated Lincoln in front of the Essex County Courthouse. Moorish Revival buildings include Newark Symphony Hall and the Prince Street Synagogue, one of the oldest synagogue buildings in New Jersey. The New Jersey Performing Arts Center, near Military Park, opened in 1997, is the home of the New Jersey Symphony Orchestra and the New Jersey State Opera, The center's programs of national and international music, dance, and theater make it the nation's sixth-largest performing arts center, attracting over 400,000 visitors each year. Prior to the opening of the performing arts center, Newark Symphony Hall was home to the New Jersey Symphony, the New Jersey State Opera, and the Garden State Ballet, which still maintains an academy there. The 1925 neo-classic building, originally built by the Shriners, has three performance spaces, including the main concert named in honor of famous Newarker Sarah Vaughan, offering rhythm and blues, rap, hip-hop, and gospel music concerts, and is part of the modern-day Chitlin' Circuit. The Newark Boys Chorus, founded in 1966, performs regularly in the city. The African Globe Theater Works presents a new works seasonally. The biennial Geraldine R. Dodge Poetry Festival took place in Newark for the first time in 2010. Venues at the universities in the city are also used to present professional and semi-professional theater, dance, and music. Since its opening, the Prudential Center in 2007 has presented Diana Ross, Katy Perry, Lady Gaga, Britney Spears, The Eagles, Hannah Montana/Miley Cyrus, Spice Girls, Jonas Brothers, Metro Station, Metallica, Alicia Keys, Demi Lovato, David Archuleta, Taylor Swift and American Idol Live!, among others. Bon Jovi performed a series of ten concerts to mark the venue's opening. In the house music and garage house genres and scene, Newark is known as an innovator. Newark's Club Zanzibar, along with other gay and straight clubs in the 1970s and 80s, was famous as both a gay and straight nightlife destination. Famed DJ Tony Humphries helped "spawn the sometimes raw but always soulful, gospel-infused subgenre" of house music known as the Jersey Sound. The club scene also gave rise to the ball culture scene in Newark hotels and nightclubs. House music producer, DJ and writer Junior Sanchez started making house music in his teens growing up in the Ironbound district. Brick City club, a dance-oriented electronic music genre, is native to the city. The Newark Museum is the largest in New Jersey. Highlights of its collection include American and Tibetan art. The museum also contains science galleries, a planetarium, a gallery for children's exhibits, a fire museum, a sculpture garden and an 18th-century schoolhouse. Also part of the museum is the historic John Ballantine House, a restored Victorian mansion which is a National Historic Landmark. The museum co-sponsors the Newark Black Film Festival, which has premiered numerous films since its founding in 1974. The city is also home to the New Jersey Historical Society, which has rotating exhibits on New Jersey and Newark. The Newark Public Library has eight locations. The library houses more than a million volumes and has frequent exhibits on a variety of topics, many featuring items from its Fine Print and Special Collections. The library also hosts daily programs including ESL classes, yoga classes, arts and crafts, history talks, and more. Since 1962, Newark has been home to the Institute of Jazz Studies, the world's foremost jazz archives and research libraries. Located in the John Cotton Dana Library at Rutgers-Newark, the Institute houses more than 200,000 jazz recordings in all commercially available formats, more than 6,000 monograph titles, including discographies, biographies, history and criticism, published music, film and video; over 600 periodicals and serials, dating back to the early 20th century; and one of the country's most comprehensive jazz oral history collections, featuring more than 150 jazz oral histories, most with typed transcripts. On December 9, 2007, the Jewish Museum of New Jersey at 145 Broadway in the Broadway neighborhood, held its grand opening. The museum is dedicated to the cultural heritage of New Jersey's Jewish people. The museum is housed at Ahavas Sholom, the last continually operating synagogue in Newark. By the 1950s there were 50 synagogues in Newark serving a Jewish population of 70,000 to 80,000, once the sixth-largest Jewish community in the United States. The Grammy Museum Experience is an interactive, experiential museum devoted to the history and winners of the Grammy Awards which opened at the Prudential Center on October 20, 2017. Newark is also home to numerous art galleries including the Paul Robeson Galleries at Rutgers University–Newark, as well as Aljira, a Center for Contemporary Art, City Without Walls, Gallery Aferro and Sumei Arts Center. Since 2009, the Newark Planning Office, in collaboration with local arts organizations, has sponsored Newark Murals, and seen the creation of dozens of outdoor murals about significant people, places, and events in the city. The Portraits mural, a massive multi-artist painting the length of 25 football fields created in 2016, is the longest continuous mural on the East Coast, and the second longest in the country. Seventeen artists contributed sections to the mural, including Adrienne Wheeler, Akintola Hanif, David Oquendo, Don Rimx, El Decertor, GAIA, GERA, Kevin Darmanie, Khari Johnson-Ricks, Lunar New Year, Manuel Acevedo, Mata Ruda, Nanook, Nina Chanel Abney, Sonni, Tatyana Fazlalizadeh, WERC and Zeh Palito. "Portraits" begins roughly at the intersection of Pointer Street and McCarter Highway in the South Ironbound district and stretches northwards 1.39 miles (2.24 km) along the century-old stone walls supporting the Amtrak, NJ Transit and PATH train tracks facing Newark's McCarter Highway (New Jersey Route 21). Festivals and parades held annually or bi-annually include the Cherry Blossom Festival (April) in Branch Brook Park, the Portugal Day Festival (June) in the Ironbound, the McDonald's Gospelfest (spring) at Prudential Center, the Lincoln Park Music Festival (July) at Lincoln Park, the Newark Black Film Festival (summer) and Paul Robeson Awards (biennial), the Geraldine R. Dodge Poetry Festival (October, biennial) at various venues and the citywide Open Doors (October), the Afro Beat Fest (July) at Military Park, and the James Moody Jazz Festival, named for James Moody, the jazz artist raised in Newark (week-long event in November). St. Lucy's Church, a historically Italian parish in what was Newark's Little Italy, features an annual October procession and festival for St. Gerard Majella. Newark is within the metro New York media market. The Newark Times is the premiere online news media platform dedicated to Newark lifestyle, events, and culture. Brick City Live is a site focused on Newark lifestyle news and perspectives. Newark Patch is a daily online news source dedicated to local Newark news. NewarkPulse.com brands itself as the most popular Newark-based events and happenings website. The Newark Metro covers metropolitan life from Newark to North Jersey to New York City and is a journalism project at Rutgers Newark. The City of Newark shares news and events via its official Twitter account. The state's leading newspaper, The Star-Ledger, owned by Advance Publications, is based in Newark. The newspaper sold its headquarters in July 2014, with the offices of the publisher, the editorial board, columnists, and magazine relocating to the Gateway Center. The Newark Targum is a weekly student newspaper published by the Targum Publishing Company for the student population of the Newark campus of Rutgers University. With a studio on the 6th floor and showy antenna on the roof, Bamberger's launched WOR to sell more radios. Pioneer radio station WOR was started by Bamberger Broadcasting Service in 1922 and broadcast from studios at its retailer's downtown department store. Today the building serves telecom, colocation, and computer support industries. Radio station WJZ (now WABC) made its first broadcast in 1921 from the Westinghouse plant near Broad Street Station. It moved to New York City in the 1920s. Radio station WNEW-AM (now WBBR) was founded in Newark in 1934 and later moved to New York City. WBGO, a National Public Radio affiliate with a format of standard and contemporary jazz, is at 54 Park Place in downtown Newark. WNSW AM-1430 (formerly WNJR) and WQXR (which was formerly WHBI and later WCAA) 105.9 FM are also licensed to Newark. In 1915, the Bell System under ownership of American Telephone and Telegraph Company (AT&T) tested newly developed panel switching technology in Newark when they cutover the telephone exchanges Mulberry and Waverly to semi-mechanical operation on January 16 and June 12, respectively. The Panel system was the Bell System solution to the big city problem, where an exchange had to serve large numbers of subscribers on both manual as well as automatically switched central offices, without negatively impacting established user convenience and reliability. As originally introduced in these exchanges, subscribers' telephones had no dials and customers continued to make calls by asking an operator to ring their called party, at which point the operator keyed the telephone number into the panel equipment, instead of making cord connections manually. Most Panel installations across the country were replaced by modern systems during the 1970s and the last Panel switch was decommissioned in the BIgelow central office in Newark in 1983. New Jersey's first television station, WATV Channel 13, signed-on May 15, 1948, from studios at the Mosque Theater known as the "Television Center Newark." The studios were home to WNTA-13 beginning in 1958 and WNJU-47 until 1989. WNET, a flagship station of the Public Broadcasting Service now on channel 13, and Spanish-language WFUT-TV, a UniMás owned-and-operated station, are licensed to Newark. Tempo Networks, producing for the pan-Caribbean television market, is based in the city. NwkTV has been the city's government access channel since 2009 and broadcast as Channel 78 on Optimum. The company has a high-tech call center in Newark, employing over 500 people. PBS network NJTV's main broadcasting studios (NJTV is also a sister station of the Newark-licensed WNET) are also in the Gateway Center Office Complex. Numerous movies, television programs, and music videos have been shot in Newark, its period architecture and its streetscape seen as an ideal "urban setting". The Jersey Motion Picture and Television Commission is in the city. In 2011, the city created the Newark Office of Film and Television in order to promote the making of media productions. Some months earlier the Ironbound Film & Television Studios, the only "stay and shoot" facility in the metro area opened, its first production being Bar Karma. In 2012 the city hosted the seventh season of the reality show competition America's Got Talent. The Many Saints of Newark, a Sopranos prequel by David Chase set in the late 1960s, in development. Heart of Stone (2009) on white flight in the heavily Jewish Weequahic section and Weequahic High School. Produced by Zach Braff. Newark has hosted many teams, though much of the time without an MLB, NBA, NHL, or NFL team in the city proper. Currently, the city is home to just one, the NHL's New Jersey Devils. As the second largest city in the New York metropolitan area Newark is part of the regional professional sports and media markets. Two venues in the northeastern New Jersey metro region are in Downtown Newark: Prudential Center, a multi-purpose indoor arena designed by HOK Sport that opened in October 2007 with a Bon Jovi concert and a hockey game. Known as "The Rock", the arena is the home of the National Hockey League's New Jersey Devils and the NCAA's Seton Hall Pirates men's basketball team, seating 18,711 for basketball and 16,514 for hockey. Riverfront Stadium was a 6,200-seat baseball park that was home to the baseball teams of the Rutgers-Newark Scarlet Raiders, who play in the New Jersey Athletic Conference as part of NCAA Division III, and the NJIT Highlanders, who play in the Atlantic Sun Conference as part of NCAA Division I. The stadium opened in July 1999 as the home of the Newark Bears, who played in the stadium until the team folded in 2014. The site of the stadium was sold in March 2016 to a developer who plans a mixed-use residential high rise project. Red Bull Arena, home of the New York Red Bulls of Major League Soccer, opened in 2010 just across the Passaic River in Harrison. The home of NFL football teams Giants and Jets MetLife Stadium is less than 10 miles (16 km) from Downtown and can be reached with the Meadowlands Rail Line via Newark Penn Station or Broad Street Station. The New Jersey Nets played two seasons (2010–2012) at the Prudential Center until moving to the Barclays Center. The New York Liberty of the Women's National Basketball Association (WNBA) also played there for three seasons (2011–2013) during renovations of Madison Square Garden. The center has hosted the 2012 Stanley Cup Finals, the 2011 NBA draft, and the 2013 NHL Entry Draft. EliteXC: Primetime, a mixed martial arts (MMA) event which took place on May 31, 2008, was the first MMA event aired in primetime on major American network television. Newark was a host city and its airport a gateway for Super Bowl XLVIII which was played on February 2, 2014. The game took place at MetLife Stadium, home of the hosting teams New York Giants and New York Jets. Media Day, the first event leading up to the game, took place on January 28 at the Prudential Center. The original Vince Lombardi Trophy, produced by Tiffany & Co. in Newark in 1967 and borrowed from the Green Bay Packers, was being displayed at the Newark Museum from January 8 until March 30, 2014. Ultimate Fighting Championship's annual Super Bowl weekend mixed martial arts event, UFC 169: Cruz vs. Barao, took place on February 1 at the Prudential Center. The city is governed within the Faulkner Act, formally known as the Optional Municipal Charter Law, under the Mayor-Council Plan C form of local government, which became effective as of July 1, 1954, after the voters of the city of Newark passed a referendum held on November 3, 1953. There are nine council members elected on a nonpartisan basis at the regular municipal election or at the general election for terms of four years: one council member from each of five wards and four council members on an at-large basis. The mayor is also elected for a term of four years. The Mayor of Newark is Ras Baraka, who is serving a term of office ending on June 30, 2018. After becoming acting mayor on October 31, 2013, Luis A. Quintana, born in Añasco, Puerto Rico, was sworn in as Newark's first Latino mayor on November 4, 2013, assuming the unexpired term of Cory Booker, who vacated the position to become the junior U.S. Senator from New Jersey. Quintana's term ended on June 30, 2014. He was selected unanimously at a council meeting to replace the previously elected Booker, who resigned and was sworn in on October 31, 2013 after winning the October 16 special election for U.S. Senator to replace the seat held by Frank Lautenberg until his death. The Newark mayoral election took place on May 13, 2014, and was won by Baraka, who was sworn in as Newark's 40th mayor on July 1, 2014. Newark is split between the 8th and 10th Congressional Districts and is part of New Jersey's 28th and 29th state legislative districts. Prior to the 2011 reapportionment following the 2010 Census, Newark had been split between the 27th, 28th and 29th state legislative districts. Prior to the 2010 Census, Newark had been split between the 10th Congressional District and the 13th Congressional District, a change made by the New Jersey Redistricting Commission that took effect in January 2013, based on the results of the November 2012 general elections. As part of the split that took effect in 2013, 123,763 residents in two non-contiguous sections in the city's north and northeast were placed in the 8th District and 153,377 in the southern and western portions of the city were placed in the 10th District. For the 116th United States Congress, New Jersey's Eighth Congressional District is represented by Albio Sires (D, West New York). For the 116th United States Congress, New Jersey's Tenth Congressional District is represented by Donald Payne Jr. (D, Newark). New Jersey is represented in the United States Senate by Democrats Cory Booker (Newark, term ends 2021) and Bob Menendez (Paramus, term ends 2025). For the 2018–2019 session (Senate, General Assembly), the 28th Legislative District of the New Jersey Legislature is represented in the State Senate by Ronald Rice (D, Newark) and in the General Assembly by Ralph R. Caputo (D, Nutley) and Cleopatra Tucker (D, Newark). For the 2018–2019 session (Senate, General Assembly), the 29th Legislative District of the New Jersey Legislature is represented in the State Senate by Teresa Ruiz (D, Newark) and in the General Assembly by Eliana Pintor Marin (D, Newark) and Shanique Speight (D, Newark). The Governor of New Jersey is Phil Murphy (D, Middletown Township). The Lieutenant Governor of New Jersey is Sheila Oliver (D, East Orange). Essex County is governed by a directly-elected County Executive, with legislative functions performed by the Board of Chosen Freeholders. As of 2018[update], the County Executive is Joseph N. DiVincenzo Jr. (D, Roseland). The county's Board of Chosen Freeholders consists of nine members, four elected on an at-large basis and one from each of five wards, who serve three-year terms of office on a concurrent basis, all of which end December 31, 2018. Essex County's Freeholders are Freeholder President Brendan W. Gill (D, at-large; Montclair), Freeholder Vice President Wayne L. Richardson (D, District 2 – Irvington, Maplewood and Newark's South Ward and parts of West Ward; Newark), Janine G. Bauer (D, District 3 - East Orange, Newark's West and Central Wards, Orange and South Orange; South Orange, appointed to serve on an interim basis), Rufus I. Johnson (D, at large; Newark), Lebby C. Jones (D, at large; Irvington), Leonard M. Luciano (D, District 4 – Caldwell, Cedar Grove, Essex Fells, Fairfield, Livingston, Millburn, North Caldwell, Roseland, Verona, West Caldwell and West Orange; West Caldwell), Robert Mercado (D, District 1 – Newark's North and East Wards, parts of Central and West Wards; Newark), Carlos M. Pomares (D, District 5 – Belleville, Bloomfield, Glen Ridge, Montclair and Nutley; Bloomfield) and Patricia Sebold (D, at large; Livingston). Constitutional officers elected countywide are County Clerk Christopher J. Durkin (West Caldwell; D, 2020), Sheriff Armando B. Fontoura (Fairfield; D, 2018) and Surrogate Theodore N. Stephens II (D, 2021). On the national level, Newark leans strongly toward the Democratic Party. As of March 23, 2011, out of a 2010 Census population of 277,140 in Newark, there were 136,785 registered voters (66.3% of the 2010 population ages 18 and over of 206,253, vs. 77.7% in all of Essex County of the 589,051 ages 18 and up) of which 68,393 (50.0% vs. 45.9% countywide) were registered as Democrats, 3,548 (2.6% vs. 9.9% countywide) were registered as Republicans, 64,812 (47.4% vs. 44.1% countywide) were registered as Unaffiliated and there were 30 voters registered to other parties. In the 2012 presidential election, Democrat Barack Obama received 95.0% of the vote (78,352 cast), ahead of Republican Mitt Romney with 4.7% (3,852 votes), and other candidates with 0.4% (298 votes), among the 82,030 ballots cast by the city's 145,059 registered voters for a turnout of 56.5%. In the 2008 presidential election, Democrat Barack Obama received 90.8% of the vote (77,112 ballots cast), ahead of Republican John McCain who received 7.0% of the vote (5,957 votes), with 84,901 of the city's 140,946 registered voters participating, for a turnout of 60.2% of registered voters. In the 2004 presidential election, Democrat John Kerry received 85.9% of the vote (62,700 ballots), outpolling Republican George W. Bush, who received 12.8% (9,344), with 72,977 of 127,049 registered voters participating, for a turnout percentage of 57.4%. In the 2016 presidential election, Democrat Hillary Clinton received 90.7% of the vote (69,042 cast); Republican, Donald Trump received 6.7% of the vote (5,094 cast); and other candidates received 1.5% of the vote (1,139 cast). In the 2013 gubernatorial election, Democrat Barbara Buono received 80.8% of the vote (29,039 cast), ahead of Republican Chris Christie with 17.9% (6,443 votes), and other candidates with 1.2% (437 votes), among the 37,114 ballots cast by the city's 149,778 registered voters (1,195 ballots were spoiled), for a turnout of 24.8%. In the 2009 Gubernatorial Election, Democrat Jon Corzine received 90.2% of the vote (36,637 ballots cast), ahead of Republican Chris Christie who received 8.3% of the vote (3,355 votes), with 40,613 of the city's 134,195 registered voters (30.3%) participating. Newark has been marred with political corruption throughout the years. Five of the previous seven mayors of Newark have been indicted on criminal charges, including the three mayors before Cory Booker: Hugh Addonizio, Kenneth Gibson and Sharpe James. As reported by Newsweek: "... every mayor since 1962 (except one, Cory Booker) has been indicted for crimes committed while in office". Addonizio was mayor of Newark from 1962 to 1970. A son of Italian immigrants, a tailor and World War II veteran, he ran on a reform platform, defeating the incumbent, Leo Carlin, whom, ironically, Addonizio characterized as corrupt and a part of the political machine of the era. In December 1969, Addonizio and nine present or former officials of the municipal administration in Newark were indicted by a Federal grand jury; five other persons were also indicted. In July 1970, the former mayor, and four other defendants, were found guilty by a Federal jury on 64 counts each, one of conspiracy and 63 of extortion. In September 1970, Addonizio was sentenced to ten years in federal prison and fined $25,000 by Federal Judge George Herbert Barlow for his role in a plot that involved the extortion of $1.5 million in kickbacks, a crime that the judge said "tore at the very heart of our civilized society and our form of representative government". His successor was Kenneth Gibson, the city's first African American mayor, elected in 1970. He pleaded guilty to federal tax evasion in 2002 as part of a plea agreement on fraud and bribery charges. During his tenure as mayor in 1980, Gibson was tried and acquitted of giving out no-show jobs by an Essex County jury. Sharpe James, who defeated Gibson in 1986 and declined to run for a sixth term in 2006, was indicted on 33 counts of conspiracy, mail fraud, and wire fraud by a federal grand jury sitting in Newark. The grand jury charged James with spending $58,000 on city-owned credit cards for personal gain and orchestrating a scheme to sell city-owned land at below-market prices to his companion, who immediately re-sold the land to developers and gained a profit of over $500,000. James pleaded not guilty on 25 counts at his initial court appearance on July 12, 2007. On April 17, 2008, James was found guilty for his role in the conspiring to rig land sales at nine city-owned properties for personal gain. The former mayor was sentenced to serve up to 27 months in prison, and was released on April 6, 2010, for good behavior. Newark is the home of multiple institutions of higher education, including: a Berkeley College campus, the main campus of Essex County College, New Jersey Institute of Technology (NJIT), the Newark Campus of Rutgers Biomedical and Health Sciences (formerly University of Medicine and Dentistry of New Jersey), Rutgers University–Newark, Seton Hall University School of Law, and Pillar College. Kean University is located in adjacent Union, New Jersey. Most of Newark's academic institutions are in the city's University Heights district. The colleges and universities have worked together to help revitalize the area, which serves more than 60,000 students and faculty. As of the 2006–2010 American Community Survey, 16.0% of Newark residents ages 25 and over had never attended high school and 15.9% didn't graduate, while 68.1% had at least graduated from high school, including the 12.3% who had earned a bachelor's degree or higher. The total school enrollment in Newark city was 75,025 in the 2006–2010 ACS, with pre-primary school enrollment of 10,560, elementary or high school enrollment of 46,691 and college enrollment of 17,774. The Newark Public Schools, a state-operated school district, is the largest school system in New Jersey. The district is one of 31 former Abbott districts statewide, which are now referred to as "SDA Districts" based on the requirement that the state cover all costs for school building and renovation projects in these districts under the supervision of the New Jersey Schools Development Authority. As of the 2014–15 school year, the district and its 76 schools had an enrollment of 34,861 students and 2,815.0 classroom teachers (on an FTE basis), for a student–teacher ratio of 12.4:1. Science Park High School, which was the 69th-ranked public high school in New Jersey out of 322 schools statewide, in New Jersey Monthly magazine's September 2010 cover story on the state's "Top Public High Schools", after being ranked 50th in 2008 out of 316 schools. Technology High School has a GreatSchools rating of 9/10 and was ranked 165th in New Jersey Monthly's 2010 rankings. Newark high schools ranked in the bottom 10% of the New Jersey Monthly 2010 list include Central (274th), East Side (293rd), Newark Vocational (304th), Weequahic (310th), Barringer (311th), Malcolm X Shabazz (314th) and West Side (319th). Facebook co-founder Mark Zuckerberg donated a challenge grant of $100 million to the district in 2010, choosing Newark because he stated he believed in Mayor Cory Booker and Governor Chris Christie's abilities. Charter schools in Newark include the Robert Treat Academy Charter School, a National Blue Ribbon School drawing students from all over Newark. It remains one of the top performing K-8 schools in New Jersey based on standardized test scores. University Heights Charter School is another charter school, serving children in grades K-5, recognized as a 2011 Epic Silver Gain School. Gray Charter School, like Robert Treat, also won a Blue Ribbon Award. Also, Newark Collegiate Academy (NCA) opened in August 2007 and serves 420 students in grades 9–12. It will ultimately serve over 570 students, mostly matriculating from other charter schools in the area. The city hosts three high schools as part of the Roman Catholic Archdiocese of Newark: the coeducational Christ The King Prep, founded in 2007, is part of the Cristo Rey Community; Saint Benedict's Preparatory School is an all-boys Roman Catholic high school founded in 1868 and conducted by the Benedictine monks of Newark Abbey, whose campus has grown to encompass both sides of MLK Jr. Blvd. near Market Street and includes a dormitory for boarding students; and Saint Vincent Academy which is an all-girls Roman Catholic high school founded and sponsored by the Sisters of Charity of Saint Elizabeth and operated continuously since 1869. Link Community School is a non-denominational coeducational day school that serves approximately 128 students in seventh and eighth grades. The Newark Boys Chorus School was founded in the 1960s. University Heights Charter School, which opened in 2006, taught 614 students in grades PK-8 in 2014–2015. Newark is a hub of air, road, rail, and ship traffic, making it a significant gateway into the New York metropolitan area and the mid-Atlantic United States. Newark Liberty International Airport is the second-busiest airport in the New York metro area and the 15th-busiest in the United States (in terms of passenger traffic). Newark Airport was the New York City area's first commercial airport, opened in 1928 on land reclaimed by the Port Authority. Port Newark, on Newark Bay, is the fifteenth-busiest port in the world and the largest container port on the East Coast of the United States. In 2003, the port moved over $100 billion in goods. The Morris Canal, stretching 102 miles (164 km) to Newark from Phillipsburg on the Delaware River, was completed in 1831 and allowed coal and other industrial and agricultural products from Pennsylvania to be transported cheaply and efficiently to the New York metropolitan area. The canal's completion led to increased settlement in Newark, vastly increasing the population for years to come. After the canal was decommissioned, its right of way was converted into the Newark City Subway, now known as the Newark Light Rail. Many of the subway stations still portray the canal in its original state, in the form of mosaic works. As the city became increasingly congested further means of transportation were sought, eventually leading to horse-drawn trolleys. These, in turn, were replaced by electric trolleys that traveled down the main streets of downtown Newark, including Broad Street, and up Market Street near the courthouse. The trolley cars did not last long as the personal motor vehicle quickly gained popularity and slowly made the trolley system seem like a burden. As of May 2010[update], the city had a total of 368.21 miles (592.58 km) of roadways, of which 318.77 miles (513.01 km) were maintained by the municipality, 17.61 miles (28.34 km) by Essex County, 22.66 miles (36.47 km) by the New Jersey Department of Transportation and 9.17 miles (14.76 km) by the New Jersey Turnpike Authority. Newark is served by numerous highways including the New Jersey Turnpike (Interstate 95), Interstate 280, Interstate 78, the Garden State Parkway, U.S. Route 1/9, U.S. Route 22, and Route 21. Newark is connected to the Holland Tunnel and Lower Manhattan by the Pulaski Skyway, spanning both the Passaic and Hackensack Rivers, which was first constructed in 1938 and will be undergoing a $900 million renovation project. Local streets in Newark conform to a quasi-grid form, with major streets radiating outward (like spokes on a wheel) from the downtown area. Some major roads in the city are named after the towns to which they lead, including South Orange Avenue, Springfield Avenue, and Bloomfield Avenue, as well as Broadway, which had been renamed from Belleville Avenue. In a city extensively served by mass transit, 44.2% of Newark residents did not have a car as of the 2000 Census, ranked second in the U.S. to New York City in the proportion of households without an automobile among cities with more than 250,000 people. According to the 2016 American Community Survey, the number of households without an automobile has decreased to 39.2%. The same year, the average Newark household owned .89 cars compared to a national average of 1.8 cars per household. Newark Penn Station, situated just east of downtown, is the city's major train station. It is served by the interurban PATH train (which links Newark 24/7 to Jersey City and Manhattan), three NJ Transit (NJT) commuter rail lines, and Amtrak intercity rail service. It was designed by McKim, Mead & White and completed in 1935. One mile north, the Newark Broad Street Station is served by two NJT commuter rail lines. The two train stations are linked by the Newark Light Rail system, which also provides services from Newark Penn Station to Newark's northern communities and into the neighboring towns of Belleville and Bloomfield. Built in the bed of the Morris Canal, the light rail cars run underground in Newark's downtown area. The city's third train station, Newark Liberty International Airport, connects the Northeast Corridor to the airport via AirTrain Newark. Bus service in Newark is provided by NJ Transit, CoachUSA contract operators and DeCamp in North Newark. Newark is served by NJ Transit bus routes 1, 5, 11, 13, 21, 25, 27, 28, 29, 34, 37, 39, 40, 41, 42, 43, 59, 62, 65, 66, 67, 70, 71, 72, 73, 74, 75, 76, 78, 79, 90, 92, 93, 94, 96, 99, 107, and 108. Bus route 308 is an express bus route to Six Flags Great Adventure from Newark Penn Station while 319 is an express service to Atlantic City. The go bus 25 and go bus 28 are bus rapid transit lines through the city to Irvington, Bloomfield and Newark Liberty International Airport. According to the 2016 American Community Survey, 53.7% of working city of Newark residents commuted by driving alone, 9.3% carpooled, 27.3% used public transportation, and 6.5% walked. About 5% used all other forms of transportation, including taxicab, motorcycle, and bicycle. About 5.7% of working Newark residents worked at home. Newark is home to five hospitals. University Hospital, an independent institution that is a teaching hospital of Rutgers Biomedical and Health Sciences, has been the busiest Level I trauma center in the state. Newark Beth Israel Medical Center is the largest hospital in the city and is a part of Barnabas Health, the state's largest system of hospital and health care facilities. Beth Israel is also one of the oldest hospitals in the city, dating back to 1901. This 669-bed regional facility is also home to the Children's Hospital of New Jersey. Catholic Health East operates Saint Michael's Medical Center. Columbus Hospital LTACH is a longterm acute care hospital designed to focus on patients with serious and complex medical conditions that require intense specialized treatment for an extended period of recovery time. Hospitals which have been closed in recent years include the Saint James Hospital, Mount Carmel Guild Hospital and the United Hospitals Medical Center. University Hospital EMS (UH-EMS) operates the EMS system for the city. The department operates a fleet of six BLS units staffed with two EMTs 24/7, supplemented by four 12-hour "power" trucks (operated during peak demand time hours), five ALS units staffed with two paramedics (one of which is stationed at Newark International Airport and covers the airport and Port Newark-Elizabeth, and frequently responds into the City of Elizabeth), and a critical care unit staffed by a paramedic and an RN. With distinction they also staff the only hospital based heavy rescue truck in the country, known as University EMS Rescue 1. The EMS system is the busiest system per unit in the nation. On average, a BLS unit may be sent to 20–25 dispatches in a 12-hour shift. They also provide the medical staffing for Northstar, with one of the two NJ State Police medevac helicopters, staffing one flight nurse and a flight medic around the clock. The EMS system in Newark handles upwards of 125,000 requests for service annually. The city is protected by more than 700 full-time, paid firefighters of the Newark Fire Department (NFD). Founded in 1863, the NFD operates out of 16 firehouses throughout the city that are organized into 4 battalions (Battalions 1,3,4, and 5), under the command of a deputy chief/tour commander. There is also a Safety Battalion Chief, Battalion 2, and a Special Operations Battalion Chief, Battalion 6, on duty 24/7. The NFD operates 16 engine companies, 8 ladder companies, 1 rescue company, an Urban Search and Rescue (USAR) Collapse Rescue Unit (Rescue 2), a USAR Collapse Rescue Shoring Unit, 2 fire boats, a scuba diving unit, a mobile medical ambulance bus, an air cascade unit, a foam unit, a quick attack response vehicle (QRV 1), a mobile command unit, 3 HazMat units, and numerous special, support, and reserve units. The NFD responds to approximately 45,000 emergency calls annually. In 2006, the NFD responded to 2,681 fire and hazardous condition calls. The department is a member of the Metro USAR Strike Team, which is composed of nine North Jersey fire departments. The Newark Police Department is a city-operated law enforcement agency. As of January 2014, the force had 1,006 officers in its ranks. The Essex County Sheriff's Office, New Jersey Transit Police Department (headquartered in Penn Plaza East) and the Port Authority of New York and New Jersey Police Department are also within their jurisdiction in the city, as are the New Jersey State Police. In April 2014, it was announced that the State Police would play a more prominent role in patrolling the streets of the city under the "TIDE-TAG" program. The Essex County College Police Department, New Jersey Institute of Technology Police Department and Rutgers University Police Department patrol their respective college campuses in the city. Conrail and Amtrak Police patrol their respective rail yards and property. In 1996, Money magazine ranked Newark "The Most Dangerous City in the Nation." By 2007, the city recorded a total of 99 homicides for the year, representing a significant drop from the record of 161 murders set in 1981. The number of murders in 2008 dropped to 65, a decline of 30% from the previous year and the lowest in the city since 2002 when there were also 65 murders. In 2010, Newark recorded 90 homicides. March 2010 was the first calendar month since 1966 in which the city did not record a homicide. Overall, there was a 6% increase in crime numbers over the previous year, including a rise in carjackings for the third straight year, with the 337 incidents raising concerns that the city was returning to its status as the "car theft capital of the world". Along with the increase in crime, the Newark Police Department increased its recovery of illegally owned guns in 2011 to 696, up from 278 in 2010. The Federal Bureau of Investigation recorded 94 homicides in 2011 and 95 in 2012. In 2012 CNNMoney ranked Newark as the 6th most dangerous city in the United States, based on numbers by FBI Crime in the United States 2011 report. The city had 10 murders in 10 days during the period ending September 6, 2013, a statistic largely attributed to the reduction of the police force. In 2013 Newark recorded 111 homicides, the first year ending in triple digits in seven years and the highest tally since 1990, accounting for 27% of all murders statewide. In 2014, the total number of homicides in Newark was 93, while Essex County as a whole had 117 murders. The Star-Ledger reported that there were 105 homicides in the city in 2015. The city had 72 homicides in 2017, a statistic described as a "historic low", and a sharp drop from the 96 murders recorded in the city in 2016. The Consulate-General of Ecuador in New Jersey is at 400 Market Street. The Consulate-General of Portugal in Newark is at the main floor of the Newark Legal Center at One Riverfront Plaza. The Consulate-General of Colombia is at 550 Broad Street. The Vice Consulate of Italy was at 1 Gateway Center, until it was closed in 2014 for economic reasons. Pope John Paul II visited the city in 1995, at which time he elevated the city's cathedral to a basilica to become the Cathedral Basilica of the Sacred Heart. In 2011, the Dalai Lama was guest of honor at the Newark Peace Education Summit. ^ a b c d e f 2010 Census Gazetteer Files: New Jersey County Subdivisions, United States Census Bureau. Accessed May 21, 2015. 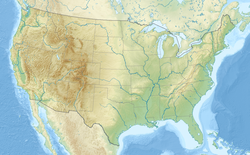 ^ a b US Gazetteer files: 2010, 2000, and 1990, United States Census Bureau. Accessed September 4, 2014. ^ a b The Mayor Archived December 28, 2015, at the Wayback Machine City of Newark. Accessed July 4, 2016. ^ 2017 New Jersey Mayors Directory, New Jersey Department of Community Affairs. Accessed May 30, 2017. As of date accessed, Baraka was listed as mayor with an incorrect term-end date of December 31, 2017. ^ About the Director Archived May 28, 2013, at the Wayback Machine City of Newark. Accessed August 18, 2013. ^ Office of the City Clerk, City of Newark. Accessed May 12, 2017. ^ a b 2012 New Jersey Legislative District Data Book, Rutgers University Edward J. Bloustein School of Planning and Public Policy, March 2013, p. 125. ^ U.S. Geological Survey Geographic Names Information System: City of Newark, Geographic Names Information System. Accessed March 8, 2013. ^ a b c d e f g DP-1 – Profile of General Population and Housing Characteristics: 2010 for Newark city, Essex County, New Jersey, United States Census Bureau. Accessed February 14, 2012. ^ a b c Municipalities Grouped by 2011–2020 Legislative Districts, New Jersey Department of State, p. 13. Accessed January 6, 2013. ^ a b c Table DP-1. Profile of General Demographic Characteristics: 2010 for Newark city Archived May 6, 2012, at the Wayback Machine New Jersey Department of Labor and Workforce Development. Accessed February 14, 2012. ^ a b c The Counties and Most Populous Cities and Townships in 2010 in New Jersey: 2000 and 2010 Archived January 13, 2016, at the Wayback Machine New Jersey Department of Labor and Workforce Development. Accessed May 12, 2017. ^ a b c PEPANNRES - Annual Estimates of the Resident Population: April 1, 2010 to July 1, 2017 - 2017 Population Estimates for New Jersey municipalities, United States Census Bureau. Accessed October 23, 2018. ^ a b PEPANNRSIP - Annual Estimates of the Resident Population for Incorporated Places of 50,000 or More, Ranked by July 1, 2017 Population: April 1, 2010 to July 1, 2017 - United States -- Places of 50,000+ Population from the 2017 Population Estimates, United States Census Bureau. Accessed October 23, 2018. ^ a b Gaquin, Deirdre A.; Ryan, Mary Meghan. Places, Towns, and Townships 2012, p. xvii. Bernan Press, 2012. ISBN 9781598885330. Accessed August 6, 2013. ^ a b GCT-PH1 Population, Housing Units, Area, and Density: 2010 – State – County Subdivision from the 2010 Census Summary File 1 for New Jersey, United States Census Bureau. Accessed August 6, 2013. ^ Dickson, Paul. Labels for Locals: What to Call People from Abilene to Zimbabwe, p. 160. HarperCollins, 2006. ISBN 9780060881641. Accessed August 6, 2013. ^ ZIP codes for Newark, New Jersey, United States Postal Service. Accessed February 14, 2012. ^ Zip Codes, State of New Jersey. Accessed August 18, 2013. ^ Area Code Lookup – NPA NXX for Newark, NJ, Area-Codes.com. Accessed September 11, 2014. ^ a b American FactFinder, United States Census Bureau. Accessed September 4, 2014. ^ A Cure for the Common Codes: New Jersey, Missouri Census Data Center. Accessed June 28, 2012. ^ US Board on Geographic Names, United States Geological Survey. Accessed September 4, 2014. ^ Newark – Definition and More from the Free Merriam-Webster Dictionary, Merriam-Webster. Accessed September 10, 2015. ^ Newark, Dictionary Reference. Accessed September 10, 2015. ^ New Jersey County Map, New Jersey Department of State. Accessed July 10, 2017. ^ History of Newark Liberty International Airport, Port Authority of New York and New Jersey. Accessed February 14, 2012. ^ Facts & Information, Port Authority of New York and New Jersey. Accessed February 14, 2012. ^ a b c Sturken, Barbara. "Newark Airport Gains In International Travel", The New York Times, February 11, 1990. Accessed June 25, 2012. "The oldest airport in the New York metropolitan region, Newark opened in 1928 on 68 acres (28 ha) of reclaimed swampland. It underwent a major overhaul in 1973, when an immense $400 million complex opened to replace an outmoded 20-year-old terminal." ^ Mazzola, Jessica. "Newark park adding 1,000 more trees to nation's largest collection of cherry blossoms", The Star-Ledger, March 25, 2015. Accessed August 30, 2015. ^ Staff. "Student scientists track nation's largest collection of cherry blossom trees at Essex County park", The Star-Ledger, August 13, 2010. Accessed September 11, 2014. ^ Hinds, Kate. "Look | Cherry Blossom Trees Flourish in Newark", WNYC, March 25, 2012. Accessed September 11, 2014. ^ Scarantino, Drew Anne. "In Full Bloom" Archived November 13, 2011, at the Wayback Machine New Jersey Monthly, March 14, 2011. Accessed September 11, 2014. ^ a b Snyder, John P. The Story of New Jersey's Civil Boundaries: 1606–1968, Bureau of Geology and Topography; Trenton, New Jersey; 1969. p. 130. Accessed February 14, 2012. ^ Hutchinson, Viola L. The Origin of New Jersey Place Names, New Jersey Public Library Commission, May 1945. Accessed September 10, 2015. ^ Gannett, Henry. The Origin of Certain Place Names in the United States, p. 222. United States Government Printing Office, 1905. Accessed September 10, 2015. ^ Staff. "Newark on Trent Shows Interest in Newark, New Jersey", p. 123. Proceedings of the New Jersey Historical Society, Volume VI, 1921. Accessed September 10, 2015. "It seems to be understood that the name of Newark, New Jersey, is traceable to the influence of the first pastor of the settlement, Rev. Abraham Pierson, who was a native of Yorkshire, England, and is said to have probably ministered first to a church in Newark-on-Trent in Nottinghamshire." ^ Munn, David C. Battles and Skirmishes of the American Revolution in New Jersey, New Jersey Department of Environmental Protection, Bureau of Geology and Topography. ^ Riche, Patrick. "Newark's Prudential Center: A Key Player in Newark's Re-Branding Efforts", Forbes, January 10, 2012. Accessed June 25, 2012. "Newark is currently undergoing a major revitalization. The Prudential Center, the New Jersey Performing Arts Center, The Newark Symphony, Riverfront Stadium and Red Bull Park in nearby Harrison and home to Major League Soccer's New York Red Bulls represent just part of the nearly $2 billion in construction underway." ^ "Tenants' Right to Counsel on the Move, Next Stop Newark". nextcity.org. Retrieved January 21, 2019. ^ Population, Housing Units, Area, and Density: 2010 – United States – Metropolitan and Micropolitan Statistical Area, in Principal City, Not in Principal City, and County; and for Puerto Rico. United States Census Bureau American Fact Finder. Accessed June 4, 2012. ^ The Official Website of the City of Newark, NJ Archived September 28, 2011, at the Wayback Machine 2005. Accessed May 28, 2012. ^ A View of Mt. Prospect, NewarkHistory.com. Accessed June 25, 2012. "Of the upper class districts of Old Newark – High Street, Lincoln Park, Weequahic and Forest Hill – Forest Hill is the most famous and best preserved." ^ Erminio, Vinessa. "Gateway? Renaissance? A reviving city earns its nicknames", The Star-Ledger, December 8, 2005. Accessed June 25, 2012. "Newark also was known as the Gateway City about 1960. This may have been because of a statewide tourism campaign in which regions of the state were designated with names. Newark, Jersey City and the surrounding communities were called Gateway." ^ Wards, City of Newark. Accessed May 20, 2017. ^ a b Living Here: Neighborhoods, Brick City Development Corporation for Newark, New Jersey. Accessed June 25, 2012. "The city is divided into five wards, each with distinct neighborhoods. Residential neighborhoods exist primarily in the North, Central and West Wards, while industry is concentrated largely in the East and South Wards near the airport and seaport.... East Ward. The most densely populated section of Newark, the East Ward, is home of one of the largest Portuguese-speaking communities in the country." ^ Reock Jr., Ernest C. Redistricting New Jersey After the Census of 2010, Rutgers University Center for Government Studies, March 2008, pp. 7–9. Accessed September 10, 2015. "The law requires that wards be formed of compact and contiguous territory. The most precise requirement is that the population of the largest ward may not exceed the population of the smallest ward by more than 10% of the mean average population of the wards." ^ Staff. "'Obvious gerrymander,' Scrimmage says of plans", Afro-American, April 12, 1969. Accessed June 25, 2012. ^ Hernandez, Roger. "Hispanics Deserve a Slice of the Pie", Rocky Mountain News, May 31, 1991. Accessed June 25, 2012. "In Newark, New Jersey, Hispanic leaders are considering a lawsuit to reverse a decision that chops a heavily Hispanic ward among three legislative districts..."
^ Waggoner, Walter H. "Voting Boundaries Awaited in Essex", The New York Times, November 27, 1977. Accessed June 25, 2012. ^ Central Ward, City of Newark, backed up by the Internet Archive as of November 9, 2012. Accessed August 30, 2015. ^ a b North Ward, City of Newark, backed up by the Internet Archive as of April 5, 2014. Accessed August 30, 2015. ^ West Ward, City of Newark, backed up by the Internet Archive as of June 23, 2014. Accessed August 30, 2015. ^ South Ward, City of Newark, backed up by the Internet Archive as of April 5, 2014. Accessed August 30, 2015. ^ Ironbound, Marriott. Accessed January 4, 2014. ^ Home Page, Ironbound Business Improvement District, backed up by the Internet Archive as of January 27, 2014. Accessed June 13, 2016. ^ Staff. "EPA Grant to Help Newark Community Target Environmental Problems", Environmental Protection Agency, March 11, 2010. Accessed June 25, 2012. "Ironbound Community Corporation is the largest comprehensive social service provider located in the East Ward of Newark, NJ. The community that will be served has a population of more than 50,000 people and is one of the most densely populated and diverse areas of the city." ^ East Ward, City of Newark, backed up by the Internet Archive as of June 27, 2014. Accessed August 30, 2015. ^ Station Name: NJ NEWARK INTL AP, National Oceanic and Atmospheric Administration. Accessed March 2, 2013. ^ Census Estimates for New Jersey April 1, 2010 to July 1, 2017, United States Census Bureau. Accessed October 23, 2018. ^ Compendium of censuses 1726–1905: together with the tabulated returns of 1905, New Jersey Department of State, 1906. Accessed August 6, 2013. ^ Wack, Henry Wellington. Official guide and manual of the 250th anniversary celebration of the founding of Newark, New Jersey, 1666–1916: The city of Newark, chief industrial center of New Jersey : historical, statistical and general review, together with numerous articles relating to the city and its celebration, Newark Sales and Advertising Co., 1916. Accessed June 25, 2012. ^ Bowen, Francis. American Almanac and Repository of Useful Knowledge for the Year 1843, p. 231, David H. Williams, 1842. Accessed August 6, 2013. Population for 1840 is listed as 17,303, which is 13 higher than the number shown in other sources. ^ Raum, John O. The History of New Jersey: From Its Earliest Settlement to the Present Time, Volume 1, p. 245, J. E. Potter and company, 1877. Accessed August 6, 2013. "Newark is now the largest city in the state and is extensively engaged in manufacturing. The population in 1850 was 38,894; in 1860 71,941; and in 1870, 105,059. The city is divided into fourteen wards." ^ Debow, James Dunwoody Brownson. The Seventh Census of the United States: 1850, p. 138. R. Armstrong, 1853. Accessed August 6, 2013. ^ Staff. A compendium of the ninth census, 1870, p. 259. United States Census Bureau, 1872. Accessed August 6, 2013. ^ Porter, Robert Percival. Preliminary Results as Contained in the Eleventh Census Bulletins: Volume III – 51 to 75, p. 98. United States Census Bureau, 1890. Accessed August 6, 2013. ^ Thirteenth Census of the United States, 1910: Population by Counties and Minor Civil Divisions, 1910, 1900, 1890, United States Census Bureau, p. 336. Accessed June 25, 2012. ^ Fifteenth Census of the United States : 1930 – Population Volume I, United States Census Bureau, p. 711. Accessed February 14, 2012. ^ Table 6. New Jersey Resident Population by Municipality: 1930–1990 Archived May 10, 2015, at the Wayback Machine New Jersey Department of Labor and Workforce Development. Accessed June 28, 2015. ^ a b c d e Census 2000 Profiles of Demographic / Social / Economic / Housing Characteristics for Newark city, New Jersey Archived May 15, 2012, at the Wayback Machine United States Census Bureau. Accessed August 21, 2013. ^ a b c d e DP-1: Profile of General Demographic Characteristics: 2000 – Census 2000 Summary File 1 (SF 1) 100-Percent Data for Newark city, Essex County, New Jersey, United States Census Bureau. Accessed August 21, 2013. ^ "U.S. Census Bureau Delivers New Jersey's 2010 Census Population Totals, Including First Look at Race and Hispanic Origin Data for Legislative Redistricting", United States Census Bureau, February 3, 2011. Accessed June 13, 2016. ^ P007 HISPANIC OR LATINO BY RACE from the Census 2000 Summary File 3 (SF 3) – Sample Data for Newark city, New Jersey, United States Census Bureau. Accessed July 20, 2016. ^ a b c d Gibson, Campbell; and Jung, Kay. "Historical Census Statistics On Population Totals By Race, 1790 to 1990, and By Hispanic Origin, 1970 to 1990, For Large Cities And Other Urban Places In The United States" Archived August 6, 2012, at WebCite United States Census Bureau, February 2005. Accessed May 12, 2017. ^ Table 27. Incorporated Places With 175,000 or More Inhabitants in 2010—Population: 1970 to 2010 Archived September 23, 2015, at the Wayback Machine United States Census Bureau. Accessed August 15, 2012. ^ Table 7. Population for the Counties and Municipalities in New Jersey: 1990, 2000 and 2010 Archived May 20, 2013, at the Wayback Machine New Jersey Department of Labor and Workforce Development, February 2011. Accessed November 20, 2012. ^ 2010–2015 HUD Consolidated Plan & 2010–2011 Annual Action Plan Archived May 15, 2012, at the Wayback Machine City of Newark, New Jersey. Accessed November 21, 2012. "The City of Newark has been the most populous city in New Jersey for many years, with a peak population of 442,337 reported in the 1930 Census. Since that peak, however, the City's population has declined as residents migrated to suburban areas." ^ Dolan, Thomas. "Newark and Its Gateway Complex – Part 2: Old Newark, New Newark" Archived April 13, 2008, at the Wayback Machine The Newark Metro. Accessed April 7, 2015. "Even prior to the riots, Newark was on a steady decline as residents began to leave the city. 'White flight' from Newark to the suburbs, which started in the '40s and accelerated in the '60s, meant that an increasing number of people who worked in the city no longer lived there." ^ Burr, Ty. "Heart of Stone: Seeing the good one man can do" Archived May 15, 2012, at the Wayback Machine The Boston Globe, October 22, 2009. Accessed February 15, 2012. "The twin forces of light at Weequahic are principal Ron Stone and the school's alumni association, the latter made up almost entirely of white middle-class Jews. Until the Newark riots and ensuing white flight crippled the neighborhood in the late 1960s, Weequahic was one of the country's finest schools..."
^ "Newark: A Brief History: From Puritan stronghold to industrial mecca to 'Renaissance City,' Newark, New Jersey, one of the poorest cities in the US, has undergone a series of radical transformations. ", PBS. Accessed April 7, 2015. ^ State & County QuickFacts for Newark (city), New Jersey Archived March 13, 2005, at the Wayback Machine United States Census Bureau. Accessed April 7, 2015. ^ Gillespie, Andra; Perry, Ravi K. (editor). "Chapter 3 – Beyond Booker: Assessing the Prospects of Black and Latino Mayoral Contenders in Newark, New Jersey" in 21st Century Urban Race Politics: Representing Minorities as Universal Interests, p. 33. Emerald Group Publishing, 2013. ISBN 9781781901847. Accessed April 7, 2015. ^ Gillespie, Andra. The New Black Politician: Cory Booker, Newark, and Post-Racial America, New York University Press, 2012. ISBN 978-0814732441. Accessed June 13, 2016. ^ Giambusso, David. "With Newark council president vote, Ras Baraka could win Latino support", The Star-Ledger, September 22, 2013. Accessed June 13, 2016. ^ Wharton, Jonathon L. A Post-Racial Change Is Gonna Come Newark, Cory Booker, and the Transformation of Urban America, Springer Publishing, 2013. ISBN 9781137277725. Accessed June 13, 2016. ^ a b Wilwohl, Joshua. "Report: Newarkers Among New Jersey's Poorest", Newark Patch, September 26, 2011. Accessed May 10, 2016. "U.S. Census Bureau statistics reveal there are 79,243 people living in poverty in the city of Newark. Those numbers, which were part of the census' American Community Survey released last Thursday, mean roughly one in three residents of New Jersey's largest city are poor." ^ Cohn, D'Vera. "In Newark, a High-Stakes Push to Improve the Census; Overlooked Residents Cost City Dearly in '90s", The Washington Post, March 25, 2000. Accessed June 14, 2016. "Census estimates show that Newark's population has leveled off at 267,000 after dropping for decades. Newark officials, including Campana, the city's assistant business manager and chief census technocrat, insist there are more than 300,000 people here." ^ Mascarenhas, Rohan. "Census Bureau makes final push for N.J. residents to submit forms", The Star-Ledger, April 15, 2010. Accessed September 13, 2011. ^ a b DP03: Selected Economic Characteristics from the 2006–2010 American Community Survey 5-Year Estimates for Newark city, Essex County, New Jersey, United States Census Bureau. Accessed February 14, 2012. ^ Census 2000 PHC-T-5. Ranking Tables for Incorporated Places of 100,000 or More: 1990 and 2000; Table 2. Incorporated Places of 100,000 or More, Ranked by Population: 2000, United States Census Bureau, April 2, 2001. Accessed May 12, 2017. ^ QT-P9 – Hispanic or Latino by Type: 2000 from the Census 2000 Summary File 1 (SF 1) 100-Percent Data for Newark city, New Jersey, United States Census Bureau. Accessed August 21, 2013. ^ QT-P13 – Ancestry: 2000 from the Census 2000 Summary File 3 (SF 3) – Sample Data for Newark city, New Jersey, United States Census Bureau. Accessed August 21, 2013. ^ Mitter, Siddhartha. "In the battle for Newark, fears of becoming the next Detroit; Two visions of a city's turnaround clash in a heated election", Al Jazeera America, May 6, 2014. Accessed September 10, 2015. "An estimated 100,000 people commute to Newark each day, many to universities and county offices excluded from the city's property tax base." ^ Newark Data Book Archived November 1, 2014, at the Wayback Machine Newark Regional Business Partnership. Accessed September 10, 2015. ^ Delgado, Samuel A. "Newark could be a real college town", The Star-Ledger, February 3, 2012. Accessed April 7, 2015. "With 60,000 students and faculty at six colleges and universities, Newark has the fifth-highest concentration of higher education on the East Coast, after Boston, New York City, Philadelphia and Washington, D.C."
^ Newark The Living Downtown Development Plan Archived March 4, 2016, at the Wayback Machine City of Newark, 2008. Accessed May 10, 2016. "Downtown Newark is the largest downtown in the state of New Jersey. Its assets include nearly 50,000 office workers, the headquarters of five major corporations, five university campuses with nearly 50,000 students and faculty, two hospital campuses, one of the best public transit systems in the nation among mid-sized cities, and important sports, cultural, and entertainment destinations...In 2000, the daytime population of Newark was estimated at over 330,000, including a workforce of 47,000 people within one half-mile of the intersection of Broad and Market Streets, Newark's legendary Four Corners." ^ U.S. Port Ranking By Cargo Volume, American Association of Port Authorities, 2013. Accessed May 23, 2015. ^ U.S. International Air Passenger and Freight Statistics, December 2014, United States Department of Transportation International Aviation Developments Series. Accessed June 13, 2016. ^ Mistry, Nisha. "Newark's Manufacturing Competitiveness: Findings and Strategies", Brookings Institution, May 28, 2013. Accessed April 7, 2015. ^ Morley, Hugh R. "Anheuser-Busch announces 60 NJ jobs cuts", The Record (Bergen County), January 20, 2015. Accessed June 14, 2016. "A company spokesman declined to say how many employees work at the plant, which was opened in 1951 and makes Budweiser, Bud Light and other company brands. In 2007, there were 800 workers at the brewery, which at that time shipped 7.5 million barrels of beer annually." ^ Newark Data Book Archived December 7, 2012, at the Wayback Machine Newark Regional Business Partnership. Accessed June 25, 2012. ^ "Incentive Programs – Urban Transit Hub Tax Credit Program", New Jersey Economic Development Authority. Accessed April 7, 2015. ^ Essex County: Newark – Urban Transit Hub Tax Credits, New Jersey Economic Development Authority. Accessed April 7, 2015. ^ Giambusso, David. "Cory Booker's legacy in Newark under spotlight as he looks to Senate", The Star-Ledger, October 6, 2013. Accessed April 7, 2015. ^ Zernike, Kate. "Promise vs. Reality in Newark on Mayor's Watch", The New York Times, December 13, 2012. Accessed June 13, 2016. ^ Zezima, Katie. "Bound for DC, Booker leaves mixed legacy in Newark", The Trentonian, October 18, 2013. Accessed June 13, 2016. ^ Staff. "When Cory's gone", The Economist, August 14, 2013. Accessed June 13, 2016. ^ Bradley, Bill. "Is Cory Booker Really the People's Choice? ", Next City, September 13, 2013. Accessed June 13, 2016. ^ Rose, Joel. "Cory Booker: Supermayor Or Self-Promoter? ", National Public Radio, August 6, 2013. Accessed June 13, 2016. ^ Luxenberg, Stan. "Developers Rediscover Newark" Archived October 17, 2011, at the Wayback Machine National Real Estate Investor, May 18, 2011. Accessed August 15, 2012. "Downtown Newark accounts for 50,000 jobs. The city is the third largest insurance center in the U.S. after New York City and Hartford, Conn."
^ Burd, Joshua. "To see Newark rebirth, look up; As big names plan high rises in city, real estate firms see rising demand", NJBiz, August 13, 2012. Accessed June 13, 2016. ^ About Newark Archived September 7, 2012, at the Wayback Machine Newark Regional Business Partnership. Accessed June 25, 2012. ^ Verdon, Joan. "Manischewitz calls Newark a key ingredient in its growth plan", Herald News, June 15, 2011. Accessed March 31, 2012. "Newark landed the new corporate headquarters of The Manischewitz Co., executives said Tuesday, because city officials provided one crucial ingredient – they moved quickly to solve problems." ^ About Audible, Audible.com. Accessed September 10, 2015. "'The vision behind the move was to try to combine a missionary, disruptive, technology-driven company with Newark's transformation. I consider the Newark move one of the best decisions we've made as a company.' – Donald Katz, Audible Founder & CEO"
^ Morley, Hugh R. "Hartz withdraws suit over Panasonic move", The Record (Bergen County), September 12, 2011. Accessed September 13, 2011. ^ De Poto, Tom. "Christie cuts ribbon on Panasonic's new headquarters in Newark, salutes bipartisanship", The Star-Ledger, September 17, 2013. Accessed June 13, 2016. ^ Geographic & Urban Redevelopment Tax Credit Programs: Urban Enterprise Zone Employee Tax Credit, State of New Jersey, backed up by the Internet Archive as of May 25, 2009. Accessed February 14, 2012. ^ Lipton, Eric. "New York Port Hums Again, With Asian Trade", The New York Times, November 22, 2004. Accessed September 13, 2011. "New York is not the only seaport lifted by the tide of Asian imports. No one expects it to regain its status as the world's busiest container port – a title it held until 1985 – or the nation's. Today it is ranked 15th in the world, 3rd in the United States." ^ Terminal Improvements, Port Authority of New York and New Jersey. Accessed September 13, 2011. ^ Military Park Map, Military Park Partnership. Accessed June 11, 2018. ^ Craig, Lauren. 100 Things to Do in Newark Before You Die, p. 109. Reedy Press, 2017. ISBN 9781681060941. Accessed June 11, 2018. ^ Kayaking, Newark Riverfornt Park. Accessed June 11, 2018. ^ Boat Tours, Newark Happening. Accessed June 11, 2018. ^ Riverfront Park, Essex County Department of Parks, Recreation and Cultural Affairs. Accessed June 11, 2018. ^ Essex County Riverfront Park, Google Maps. Accessed June 11, 2018. ^ Newark Waterfront, Newark Happening. Accessed June 11, 2018. ^ Riverbank Park, Essex County Department of Parks, Recreation and Cultural Affairs. Accessed June 11, 2018. ^ Riverbank Park, Google Maps. Accessed June 11, 2018. ^ Joseph G. Minish Passaic River Waterfront Park and Historic Area, United States Army Corps of Engineers. Accessed June 11, 2018. "The U.S. Army Corps of Engineers, New York District, is partnered with the State of New Jersey Department of Environmental Protection and City of Newark to construct the Minish Park Project which will reduce riverbank erosion and lay the foundation for waterfront park development and return of public access to the Passaic River in Newark, NJ. Phase I of the project includes 6,000 linear feet of bulkhead construction, and 3,200 linear feet of riverbank grading and native plantings." ^ Minish Park, Google Maps. Accessed June 11, 2018. ^ Branch Brook Park, Essex County Department of Parks, Recreation and Cultural Affairs. Accessed June 11, 2018. ^ Weequahic Park Sport Authority, Essex County Department of Parks, Recreation and Cultural Affairs. Accessed June 11, 2018. ^ Weequahic Park, Essex County Department of Parks, Recreation and Cultural Affairs. Accessed June 11, 2018. ^ Independence Park, Essex County Department of Parks, Recreation and Cultural Affairs. Accessed June 11, 2018. ^ Independence Park, Google Maps. Accessed June 11, 2018. ^ Independence Park, Newark History. Accessed June 11, 2018. ^ Ivy Park includes hard surface tennis courts, softball/baseball fields, a combination football/soccer field, a lighted basketball court, a playground, a shelter and a band concert area. ^ Ivy Hill Park, Essex County Department of Parks, Recreation and Cultural Affairs. Accessed June 11, 2018. ^ Staff. "Newark receives federal grant to complete Jessie Allen Park", TAP into Newark, July 24, 2017. Accessed June 11, 2018. "Newark has received a $750,000 federal grant from the National Park Service to build the final phase of Jesse Allen Park in Newark's Central Ward that will replace the existing baseball, football, and soccer fields with a synthetic three-season turf." ^ Judith L. Shipley Urban Environmental Center, Greater Newark Conservancy. Accessed June 11, 2018. ^ Judith L. Shipley Urban Environmental Center, Google Maps. Accessed June 11, 2018. ^ Prudential Outdoor Learning Center, Greater Newark Conservancy. Accessed June 11, 2018. ^ Prudential Outdoor Learning Center, Google Maps. Accessed June 11, 2018. ^ Mulberry Commons, Newark Downtown District. Accessed June 11, 2018. ^ Nat Turner Park, The Trust for Public Land. Accessed June 11, 2018. ^ Vailsburg Park, Essex County Department of Parks, Recreation and Cultural Affairs. Accessed June 11, 2018. ^ Veterans Memorial Park, Essex County Department of Parks, Recreation and Cultural Affairs. Accessed June 11, 2018. ^ West Side Park, Essex County Department of Parks, Recreation and Cultural Affairs. Accessed June 11, 2018. ^ West Side Park, Google Maps. Accessed June 11, 2018. ^ Ironbound Recreation Center, Google Maps. Accessed June 11, 2018. ^ Weequahic Golf Course, Essex County Department of Parks, Recreation and Cultural Affairs. Accessed June 11, 2018. ^ "https://www.golfchannel.com/video/ginella-discovers-hidden-gem-weequahic/", Golf Channel, July 30, 2016. Accessed June 11, 2018. ^ "Golfer Of The Week: Wiley Williams", African American Golfer's Digest. Accessed June 11, 2018. "Wiley Williams is a Weequahic Golf Course legend and outstanding New Jersey golf Pro. At Weequahic, the oldest public golf course in the state of New Jersey, Wiley almost single handedly put this course on the map with his stellar golf game and sharp ball striking skills." ^ Kiefer, Eric. "Newark Golf Legend Inspires Community: 'No Tiger Without Wiley' 'There would be no Tiger Woods if there wasn't Wiley Williams,' an Essex County Freeholder said. ", Newark Patch, August 9, 2017. Accessed June 11, 2018. ^ Jesse Allen Skateboard Park, Google Maps. Accessed June 11, 2018. ^ Baglivo, Vince. "South Orange synagogue supports Greater Newark Conservancy renovation of historic Prince Street synagogue", The Star-Ledger, October 26, 2010. Accessed June 25, 2012. "Built and dedicated by Oheb Shalom in 1884, the building is the second oldest synagogue structure in New Jersey and one of the 35 oldest buildings, originally built as synagogues and still standing, in the United States." ^ Ahearn, James. "Opinion: Mission accomplished, NJPAC chief moves on", The Record (Bergen County), October 26, 2010. Accessed April 7, 2015. "The first project, on a 1.2-acre lot across the street from the center, is conceived as a high-rise, multi-use tower, which at 44 stories would be the tallest building in the city.... The sixth-largest performing arts center in the country, home to the increasingly respected New Jersey Symphony Orchestra, NJPAC attracts more than 400,000 patrons annually." ^ About, Newark Symphony Hall. Accessed June 13, 2016. "Newark Symphony Hall enjoys a long and rich cultural history as New Jersey's oldest and largest showcase for the arts, education and entertainment programming. This multi-facility edifice was built by the Shriners, a Masonic order, in 1925 and known as the Salaam Temple." ^ McGlone, Peggy. "Historic music hall has brighter days ahead", The Record (Bergen County), September 24, 2007. Accessed June 26, 2012. ^ "2014 GERALDINE R. DODGE POETRY FESTIVAL TO BE HELD OCTOBER 23–26 AT NEW JERSEY PERFORMING ARTS CENTER AND NEWARK'S DOWNTOWN ARTS DISTRICT", New Jersey Performing Arts Center, April 22, 2014. Accessed June 13, 2016. ^ Sanneh, Kelefa. "A Brand-New Arena and a Not-So-New Rock Star", The New York Times, October 27, 2007. Accessed June 26, 2012. "And to celebrate the grand opening, the center – which may or may not come to be known by its publicist-approved nickname, the Rock – booked New Jersey's most indefatigable rock band, Bon Jovi, to play a 10-night stand." ^ The Newark Sound, Newest Americans. Accessed June 11, 2018. ^ "Jersey club: From Newark to the world", Resident ], Resident Advisor. Accessed June 11, 2018. ^ History of Queer Club Spaces in Newark, Queer Newark Oral History Project, Rutgers University. Accessed June 11, 2018. ^ a b Newark Black Film Festival, Newark Museum. Accessed June 13, 2016. "Since its inception in 1974, the Newark Black Film Festival (NBFF) has become known among its peers as the longest running black film festival in the United States." ^ "Library Locations – Newark Public Library". npl.org. Retrieved April 19, 2019. ^ Collection Development Policy Adopted by the Board of Trustees September 24, 1997 Archived July 25, 2013, at the Wayback Machine Newark Public Library. Accessed June 26, 2012. "The Library system includes the Main Library, eight community branches, and two storefront facilities.... The Library's collection numbers 1.4 million cataloged volumes and nearly half a million titles. The collection includes books, compact discs, video and audio tapes." ^ "Calendar – Newark Public Library". npl.org. Retrieved April 19, 2019. ^ History of the Institute of Jazz Studies, Rutgers-Newark. Accessed September 10, 2015. "In 1984, the Institute became part of the Rutgers University Libraries and formally affiliated with the Dana Library at Rutgers – Newark." ^ About IJS, Institute of Jazz Studies. Accessed June 14, 2016. ^ About Us, Jewish Museum of New Jersey. Accessed September 10, 2015. ^ About, Congregation Ahavas Sholom. Accessed May 12, 2017. ^ Levinson, Jay. "This City is Just Memories", Jewish magazine. Accessed June 28, 2012. "The Jewish community of Newark, New Jersey is a page in history. The era of some 50 synagogues and 70,000 Jewish residents in the city during the 1950s is long over. Today there is just one remaining synagogue building which is owned by Jews, and it operates only on Shabbat." ^ Frankston, Janet via Associated Press. "NEWARK'S JEWISH HERITAGE TOURS VISIT LAST TRACES OF VANISHED COMMUNITY. ", Sun Sentinel, July 28, 2006. Accessed June 28, 2012. "During its heyday, from the 1920s to the 1950s, between 65,000 and 80,000 Jews lived in New Jersey's largest city." ^ About Paul Robeson Galleries, Rutgers University–Newark. Accessed September 10, 2015. ^ Carter, Barry. "Murals bring vibrant colors, culture to Newark neighborhoods", The Star-Ledger, June 24, 2016. Accessed January 7, 2018. "Murals are not new to Newark. There are at least 40 scattered throughout the city's five wards in the program that started seven years ago.But Mayor Ras Baraka's administration made a push this past year to target neglected neighborhood corridors with an infusion of art as the anchor for economic growth and social transformation." ^ Portraits 360° VR Tour, Gateways to Newark. Accessed June 11, 2018. ^ "Creation of longest mural on the East Coast kicked off in Newark", Brick City Live, May 13, 2016. Accessed June 11, 2018. ^ Mazzola, Jessica. "N.J. is now home to 2nd longest mural in the U.S.", NJ Advance Media for NJ.com, May 27, 2016. Accessed June 11, 2018. "Stretching 1.39 miles on the walls underneath the Amtrak train tracks along Route 21, the newly-painted mural is about the length of 25 football fields, city officials said in a recent announcement. It is the longest continuous mural on the East Coast, and the second longest in the U.S., city officials confirmed. The 'Portraits' mural, part of the larger 'Gateways to Newark' beautification effort, was painted by 17 different artists." ^ Lincoln Park Music Festival, Newark Arts Council. Accessed September 10, 2015. ^ Open Doors Archived January 12, 2016, at the Wayback Machine Newark Arts Council. Accessed September 10, 2015. ^ Yi, Karen. "Newark's Afro Beat Fest brings history, culture", NJ Advance Media for NJ.com, July 16, 2017. Accessed June 11, 2018. ^ "NJPAC Announces the 2017 TD James Moody Jazz Festival Line-Up", Broadway World, June 12, 2017. Accessed June 11, 2018. ^ a b Gale, Dennis E. Greater New Jersey: Living in the Shadow of Gotham, University of Pennsylvania Press, 2006. ISBN 9780812219579. Accessed May 10, 2016. ^ Home Page, TAP into Newark. Accessed June 11, 2018. ^ About, Brick City Live. Accessed June 11, 2018. ^ Home Page, Newark Patch. Accessed August 14, 2017. ^ About Us, Newark Pulse. ^ The Newark Metro Archived June 3, 2013, at the Wayback Machine Rutgers–Newark. Accessed June 11, 2018. ^ City of Newark, Twitter. Accessed June 11, 2018. ^ Sherman, Ted. "Newark headquarters of Star-Ledger sold to New York real estate development firm", The Star-Ledger, July 24, 2014. Accessed September 10, 2015. "The Star-Ledger has sold its long-time home in Newark, where the state's largest daily newspaper was headquartered for nearly 50 years, according to publisher Richard Vezza. The company would not disclose a sale price for the 177,000-square-foot building – many of the offices already vacant because of layoffs, attrition and the move of some operations to new offices in Woodbridge and Secaucus." ^ Home Page, 165 Halsey Street. Accessed June 13, 2016. ^ Radio Stations in Newark, New Jersey, Radio-Locator. Accessed September 10, 2015. ^ Colburn, Robert. "Your Engineering Heritage: Newark's Past and Future as a High-Technology Center" Archived October 22, 2016, at the Wayback Machine IEEE, December 15, 2015. Accessed October 21, 2016. "Large-scale field trials of semiautomatic telephone switching were another Newark high-tech advance. Two switching offices, Mulberry (3,640 lines) and Waverly (6,480 lines), went into commercial service on 16 January 1915 and 12 June 1915, respectively." ^ Model, Eric. "Remembering Channel 13—New Jersey's first television station" Archived September 12, 2014, at the Wayback Machine NewJerseyNewsroom.com, August 8, 2011. Accessed September 11, 2014. "Initially the station was known as WATV, and was a commercial television station owned by Atlantic Television, a subsidiary of Bremer Broadcasting Corporation. It started broadcasting on May 15, 1948 on Channel 13. Bremer also owned two northern New Jersey radio stations, WAAT (970 AM, now WNYM) and WAAT-FM (94.7 MHz, now WFME). The three stations were based in the Mosque Theater on Broad Street in Newark." ^ "Rutgers-Newark Small Business Development Center honors Frederick A. Morton Jr. of TEMPO TV", Rutgers Business School – Newark and New Brunswick, October 20, 2011. Accessed August 30, 2015. "TEMPO currently broadcast in 24 Caribbean islands, with approximately 3.5M viewers throughout the Caribbean and is based in Newark, New Jersey." ^ The City of Newark's Government Access Channel Archived April 8, 2016, at the Wayback Machine City of Newark. Accessed May 10, 2016. ^ Ortega, Ralph R. "Newark launches its own digital TV channel", The Star-Ledger, January 25, 2009. Accessed May 10, 2016. ^ Staff. "EDA approves $37M Urban Transit Hub grant to Cablevision", NJBiz, June 12, 2012. Accessed May 10, 2016. ^ Currently Filming In New Jersey, New Jersey Department of State. Accessed June 13, 2016. ^ Getto, Erica. "Booker Creates Newark Office of Film and Television", WNYC, August 4, 2011, backed up by the Internet Archive as of April 19, 2013. Accessed June 13, 2016. ^ Honan, Edith. "Newark's Film Hopes Snag on State Budget Fight", Backstage, March 14, 2011. Accessed June 13, 2016. ^ Home Page, Ironbound Film and Television Studios . Accessed June 13, 2016. ^ McGlone, Peggy. "America's Got Talent to film at NJPAC in Newark", The Star-Ledger, April 8, 2012. Accessed May 10, 2016. ^ Kannapell, Andrea. "CITY LIFE; Giving Away a Film's Ending: It's Not Happy", The New York Times, December 13, 1998. Accessed January 19, 2012. "And the backdrop to these unhappy lives, the Ironbound – a residential and industrial section outlined in Newark's southeast corner by various train lines – emerges as a vicious trap of a neighborhood, a painful counterpoint to downtown Newark's spreading veneer of investment and municipal energy." ^ Quinn, Zachary. "Analysis of New Jersey Drive", University of Minnesota Duluth. Accessed January 19, 2012. "The story takes place in Newark, New Jersey, the car theft capital of the world. And in this urban setting we find the young African American teens involved in stealing cars and dodging police in what can be described as empty lives, no goals, no focus and no direction. The only thing that these young men are interested in is the ride." ^ About the series Brick City Archived January 16, 2012, at the Wayback Machine Sundance Channel. Accessed January 19, 2012. ^ via Associated Press. "'The Sopranos' draws stargazers in Newark", USA Today, February 6, 2006. Accessed June 13, 2016. ^ Malanga, Steven. "Unglamorous Mobsters; As a 1988 HBO documentary reveals, the real Sopranos were brutal—and banal. ", City Journal, July 3, 2012. Accessed June 13, 2016. ^ The Once and Future Newark, Rutgers University, November 29, 2013. Accessed May 10, 2016. ^ Kuperinsky, Amy. "Sopranos prequel movie The Many Saints of Newark in the works", NJ Advance Media for NJ.com, March 8, 2018. Accessed June 11, 2018. "The Many Saints of Newark," a screenplay from Sopranos creator David Chase, has been picked up by New Line Cinema, the report says. The story is reportedly set in 1960s Newark, around the time of the Newark riots." ^ Kilday, Gregg. "Glendon Palmer Joins IM Global as SVP", The Hollywood Reporter, April 10, 2015. Accessed June 11, 2018. "Palmer will also oversee development on The Short and Tragic Life of Robert Peace, based on the novel by Jeff Hobbs, which Antoine Fuqua and his writing partner Jamal Joseph are adapting for the screen, with Fuqua Films producing." ^ Koehler, Robert. "Heart of Stone", Variety (magazine), January 28, 2009. Accessed June 11, 2018. ^ Petrecca, Laura. "Super Bowl 2014: New Jersey out in the cold? ", USA Today, December 9, 2013. Accessed May 10, 2016. ^ Tuttle, Brad R. How Newark Became Newark: The Rise, Fall, and Rebirth of an American City, Rutgers University Press, 2009. ISBN 9780813544908. Accessed May 10, 2016. ^ Staff. "Prudential Center Opens Doors For First Devils Hockey Game", Sports Business Daily, October 29, 2007. Accessed June 14, 2016. ^ Resident Life, New Jersey Medical School. Accessed June 14, 2016. ^ Hague, Jim. "Ridiculous auction last sad chapter for Newark Bears", The Observer Online, April 30, 2014. Accessed June 14, 2016. "After all, it was the kind of Saturday in April where baseball was played at the ballpark every year since 1999, when the Newark Bears rose from the ashes of an era long gone and brought professional baseball back to the Brick City for the first time in almost 50 full years. Sure, Rutgers-Newark and NJIT have also called Riverfront Stadium home since the $34 million facility was opened 15 years ago." ^ Ivers, Dan. "Former Newark Bears stadium sold to NYC developer for $23M", NJ Advance Media for NJ.com, March 20, 2016. Accessed November 20, 2016. "The former home of the Newark Bears minor league baseball team – left to languish along Broad Street since the hard-luck franchise folded in 2013 – has been sold to a New York-based developer for $23.5 million.The site at the corner of Broad Street and Orange Street has been sold to the Lotus Equity Group, city officials confirmed this week. Lotus plans to demolish Riverfront Stadium and build a mixed-use, high-rise tower in its place." ^ Mascarenhas, Rohan. "Red Bull Arena opening in Harrison sparks nearby redevelopment", The Star-Ledger, March 20, 2010. Accessed June 14, 2016. ^ Meadowlands Rail Service, NJ Transit. Accessed May 10, 2016. ^ Mazzeo, Mike. "Chris Christie: No love lost for Nets", ESPN New York, April 24, 2012. Accessed June 26, 2012. "The New Jersey Nets are playing their final game in New Jersey on Monday night and leaving for Brooklyn at the end of this season, but the governor of New Jersey isn't about to get all nostalgic over it." ^ "NEW YORK LIBERTY RETURN TO MADISON SQUARE GARDEN FOR 2012 HOME OPENER" Archived October 13, 2012, at the Wayback Machine Prudential Center, May 14, 2012. Accessed June 26, 2012. "The Liberty's 2012 season will mark the second of three seasons the team will call Prudential Center home court while Madison Square Garden continues a historic, top-to-bottom Transformation." ^ Fowlkes, Ben. "UFC Not the First on Network TV, but Can It Learn From Others' Mistakes? ", mmafighting.com, November 9, 2011. Accessed July 9, 2015. "On May 31, 2008, EliteXC brought a live MMA event to primetime network television for the first time in American TV history. The aptly named Primetime event went down in Newark's Prudential Center, and was loaded with EliteXC's most marketable stars, including Kimbo Slice, Gina Carano, Robbie Lawler, and Phil Baroni." ^ Strunsky, Steve. "Newark airport gets upgrades for Super Bowl XLVIII", The Star-Ledger, October 11, 2013. Accessed June 13, 2016. ^ Staff. "Super Bowl XLVIII To Create Traffic Jam At Newark, Teterboro Airports; Port Authority Is Consulting With Airports In Cities That Hosted Previous Super Bowls", WCBS-TV, August 24, 2013. Accessed June 13, 2016. ^ Kell, John. "Newark Airport Gets Ready for 2014 Super Bowl", The Wall Street Journal, March 29, 2011. Accessed June 13, 2016. ^ Nix, Naomi. "Original Vince Lombardi trophy comes home to Newark", NJ Advance Media for NJ.com, January 7, 2014. Accessed June 13, 2016. "The first-ever Vince Lombardi trophy, which was made in Newark, arrived this week at the Newark Museum." ^ Lee, Eunice. "UFC's Super Bowl weekend event moving to New Jersey in 2014", The Star-Ledger, July 6, 2013. Accessed April 7, 2015. ^ Government Archived April 13, 2010, at the Wayback Machine City of Newark. Accessed April 7, 2015. ^ Sherman, Ted. "Luis Quintana sworn in as Newark's first Latino mayor, filling unexpired term of Cory Booker", NJ Advance Media for NJ.com, November 4, 2013. Accessed June 13, 2016. "Newark Municipal Council President Luis Quintana was sworn in this morning as mayor, filling the unexpired term of Cory Booker, who resigned last week to take his seat as a newly elected U.S. senator." ^ a b Lee, Eunice. "See Cory Booker's resignation letter as he bids farewell to Newark City Hall, goes to Washington", The Star-Ledger, October 30, 2013. Accessed June 13, 2016. ^ Sherman, Ted. "Luis Quintana sworn in as Newark's first Latino mayor, filling unexpired term of Cory Booker", The Star-Ledger, November 4, 2013. Accessed November 13, 2015. ^ via Associated Press. "With Booker leaving, who will run Newark? ; Council President Luis Quintana expected to act as interim mayor; Booker to be sworn in as U.S. senator Thursday" Archived March 29, 2016, at the Wayback Machine FiOS1, October 30, 2013. Accessed June 13, 2016. ^ Giambusso, David. "Quintana looks like a lock to become interim mayor of Newark", The Star-Ledger, October 25, 2013. Accessed June 13, 2016. ^ About Mayor Booker, City of Newark, backed up by the Internet Archive as of July 24, 2013. Accessed June 13, 2016. ^ Dawsey, Josh. "Ras Baraka Is Elected Mayor of Newark", The Wall Street Journal, May 13, 2014. Accessed June 12, 2015. ^ Nix, Naomi. "Ras Baraka sworn in today as Newark's 40th mayor", The Star-Ledger, July 1, 2014. Accessed June 12, 2015. ^ City Council Archived April 5, 2015, at the Wayback Machine City of Newark. Accessed May 12, 2017. ^ 2016 Municipal Data Sheet Archived June 17, 2016, at the Wayback Machine City of Newark. Accessed June 13, 2016. ^ Essex County Directory, Essex County, New Jersey. Accessed July 1, 2016. Accessed July 1, 2016. ^ 2014 Non-Partisan Municipal Election May 13, 2014, Essex County, New Jersey Clerk, April 18, 2016. Accessed July 1, 2016. ^ 2014 Newark Run-Off Election June 10, 2014, Essex County, New Jersey Clerk, April 18, 2016. Accessed July 1, 2016. ^ a b Plan Components Report, New Jersey Redistricting Commission, December 23, 2011. Accessed January 6, 2013. ^ 2017 New Jersey Citizen's Guide to Government Archived April 7, 2017, at the Wayback Machine p. 61, New Jersey League of Women Voters. Accessed May 30, 2017. ^ Districts by Number for 2011–2020, New Jersey Legislature. Accessed January 6, 2013. ^ a b 2011 New Jersey Citizen's Guide to Government Archived June 4, 2013, at the Wayback Machine, p. 62, New Jersey League of Women Voters. Accessed May 22, 2015. ^ New Jersey Congressional Districts 2012–2021 for Newark, New Jersey Redistricting Commission, December 23, 2011. Accessed January 6, 2013. 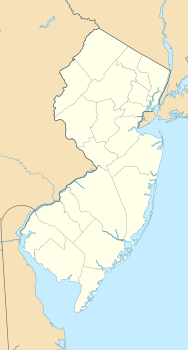 ^ Directory of Representatives: New Jersey, United States House of Representatives. Accessed January 3, 2019. ^ Biography, Congressman Albio Sires. Accessed January 3, 2019. "Congressman Sires resides in West New York with his wife, Adrienne." ^ Biography, Congressman Donald M. Payne Jr. Accessed January 3, 2019. "U.S. Representative Donald M. Payne, Jr. is a lifelong resident of Newark, New Jersey." ^ About Cory Booker, United States Senate. Accessed January 26, 2015. "He now owns a home and lives in Newark's Central Ward community." ^ Biography of Bob Menendez, United States Senate, January 26, 2015. "He currently lives in Paramus and has two children, Alicia and Robert." ^ Senators of the 116th Congress from New Jersey. United States Senate. Accessed April 17, 2019. "Booker, Cory A. - (D - NJ) Class II; Menendez, Robert - (D - NJ) Class I"
^ Legislative Roster 2018-2019 Session, New Jersey Legislature. Accessed January 22, 2018. ^ District 28 Legislators, New Jersey Legislature. Accessed January 22, 2018. ^ District 29 Legislators, New Jersey Legislature. Accessed January 22, 2018. ^ Governor Phil Murphy, State of New Jersey. Accessed January 16, 2018. ^ Lieutenant Governor Oliver, State of New Jersey. Accessed January 16, 2018. "Assemblywoman Oliver has resided in the City of East Orange for over 40 years." ^ a b General Information, Essex County, New Jersey. Accessed June 10, 2018. "The County Executive, elected from the County at-large, for a four-year term, is the chief political and administrative officer of the County.... The Board of Chosen Freeholders consists of nine members, five of whom are elected from districts and four of whom are elected at-large. They are elected for three-year concurrent terms and may be re-elected to successive terms at the annual election in November." ^ Essex County Executive, Essex County, New Jersey. Accessed June 10, 2018. ^ a b c County Directory, Essex County, New Jersey. Accessed June 10, 2018. ^ Definition of a Freeholder, Essex County, New Jersey. Accessed June 10, 2018. ^ Brendan W. Gill, Freeholder President / At-Large, Essex County, New Jersey. Accessed June 10, 2018. ^ Wayne L. Richardson, Freeholder Vice President, District 2, Essex County, New Jersey. Accessed June 10, 2018. ^ Janine G. Bauer, Freeholder District 3, Essex County, New Jersey. Accessed June 10, 2018. ^ Rufus I. Johnson, Freeholder At-Large, Essex County, New Jersey. Accessed June 10, 2018. ^ Lebby C. Jones, Freeholder At-Large, Essex County, New Jersey. Accessed June 10, 2018. ^ Leonard M. Luciano, Freeholder District 4, Essex County, New Jersey. Accessed June 10, 2018. ^ Robert Mercado, Freeholder District 1, Essex County, New Jersey. Accessed June 10, 2018. ^ Carlos M. Pomares, Freeholder District 5, Essex County, New Jersey. Accessed June 10, 2018. ^ Patricia Sebold, Freeholder At-Large, Essex County, New Jersey. Accessed June 10, 2018. ^ Members of the Board, Essex County, New Jersey. Accessed June 10, 2018. 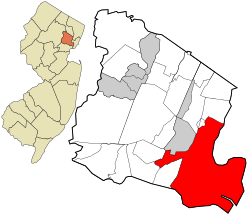 ^ Breakdown of Freeholder Districts, Essex County, New Jersey. Accessed June 10, 2018. ^ About The Clerk, Essex County Clerk. Accessed June 10, 2018. ^ Members List: Clerks, Constitutional Officers Association of New Jersey. Accessed June 10, 2018. ^ Armando B. Fontura, Essex County Sheriff's Office. Accessed June 10, 2018. ^ Members List: Sheriffs, Constitutional Officers Association of New Jersey. Accessed June 10, 2018. ^ Meet Surrogate Stephens, Essex County Surrogate. Accessed June 10, 2018. ^ Members List: Surrogates, Constitutional Officers Association of New Jersey. Accessed June 10, 2018. ^ Voter Registration Summary – Essex, New Jersey Department of State, March 23, 2011. Accessed June 25, 2012. ^ "Presidential General Election Results – November 6, 2012 – Essex County" (PDF). New Jersey Department of Elections. March 15, 2013. Retrieved December 24, 2014. ^ "Number of Registered Voters and Ballots Cast – November 6, 2012 – General Election Results – Essex County" (PDF). New Jersey Department of Elections. March 15, 2013. Retrieved December 24, 2014. ^ 2008 Presidential General Election Results: Essex County, New Jersey Department of State, December 23, 2008. Accessed June 25, 2012. ^ 2004 Presidential Election: Essex County, New Jersey Department of State, December 14, 2004. Accessed June 25, 2012. ^ Petenko, Erin (November 11, 2016). "See How Your Town Voted in the 2016 Presidential Election". www.nj.com. Advance Media. ^ "Governor – Essex County" (PDF). New Jersey Department of Elections. January 29, 2014. Retrieved December 24, 2014. ^ "Number of Registered Voters and Ballots Cast – November 5, 2013 – General Election Results – Essex County" (PDF). New Jersey Department of Elections. January 29, 2014. Retrieved December 24, 2014. ^ 2009 Governor: Essex County, New Jersey Department of State, December 31, 2009. Accessed June 25, 2012. ^ Romano, Andrew. "The Swamps of Jersey – The Daily Beast", Newsweek, March 10, 2010. Accessed April 7, 2015. ^ Grutzner, Charles. "U.S. Indicts Mayor Of Newark, 9 Present Or Former Officials On $253,000 Extortion Charges; Addonizio On Bail Evasion of Tax Also Charged – Boiardo Among Accused Mayor Addonizio Is Indicted on Extortion Charge", The New York Times, December 18, 1969. Accessed August 22, 2018. "Mayor Hugh J. Addonizio and nine present or former officials of the municipal administration in Newark were indicted yesterday by a Federal grand jury with five other persons, among whom was Anthony (Tony Boy) Boiardo, a reputed member of the Mafia." ^ Brady, Thomas F. "Addonizio and 4 Convicted Of Extortion by U.S. Jury", The New York Times, July 23, 1970. Accessed November 13, 2016. "Hugh J. Addonizio, former Mayor of Newark, and four other defendants were found guilty by Federal jury tonight on 64 counts each, one of conspiracy and 63 of extortion." ^ Sullivan, Ronald. "Addonizio Given a 10-Year Term", The New York Times, September 23, 1970. Accessed November 13, 2016. "Former Mayor Hugh J. Addonizio of Newark was sentenced to 10 years in prison and fined $25,000 in Federal Court here today for conspiracy and extortion. Convicted of sharing in the proceeds of extorted kickbacks totaling $1.5 million from contractors on city water and sewer lines, Addonizio stood impassively with his head bowed as Judge George H. Barlow declared that his crimes were of 'monumental proportion' that 'tore at the very heart of our civilized society and our form of representative government.'" ^ Barbanel, Josh. "Hugh J. Addonizio, 67, Ex-Mayor Of Newark Jailed 5 Years, Dead", The New York Times, February 2, 1981. Accessed April 7, 2015. "Hugh J. Addonizio, a former Congressman and two-term Mayor of Newark who was sentenced to 10 years in Federal prison and fined $25,000 for conspiracy and extortion died early this morning at Riverview Hospital in Red Bank, N.J."
^ Narvaez, Alfonso A. "GIBSON ACQUITTED OF A CONSPIRACY IN 'NO SHOW' CASE", The New York Times, October 22, 1982. Accessed September 10, 2015. "Mayor Kenneth A. Gibson was found not guilty today of conspiracy in connection with charges that he had helped create a 'no show' job for a former city official. But the Superior Court jury could not reach a unanimous verdict on a charge of official misconduct." ^ Martin, John. "Judge, prosecutors clash over James' 27-month jail term", NJ.com, July 29, 2008. Accessed April 7, 2015. "Former Newark mayor Sharpe James was ordered Tuesday to serve 27 months in prison and pay a $100,000 fine for fraud and conspiracy – a sentence that capped a spectacular downfall for one of New Jersey's political titans, but one that incensed prosecutors who thought it was too light." ^ Newark, Berkeley College. Accessed June 14, 2016. ^ About, Essex County College. Accessed June 14, 2016. "The main campus is located in the heart of University Heights in Newark, New Jersey." ^ About NJIT, New Jersey Institute of Technology. Accessed June 14, 2016. ^ Rutgers Health Sciences at Newark, Rutgers Biomedical and Health Sciences. Accessed June 14, 2016. ^ History, Seton Hall University School of Law, Accessed June 14, 2016. ^ Delgado, Samuel A. "Newark could be a real college town", The Star-Ledger, February 3, 2012. Accessed May 20, 2017. "With 60,000 students and faculty at six colleges and universities, Newark has the fifth-highest concentration of higher education on the East Coast, after Boston, New York City, Philadelphia and Washington, D.C.... With the recent burst in construction, Newark's universities off Martin Luther King Jr. Boulevard and the Central Ward are increasingly becoming residential campuses, as more students want the experience of living and studying in a big city." ^ Abbott School Districts, New Jersey Department of Education. Accessed June 1, 2016. Accessed August 15, 2012. ^ About SDA Archived August 16, 2016, at the Wayback Machine New Jersey Schools Development Authority. Accessed January 8, 2017. ^ SDA Capital Program Archived November 9, 2016, at the Wayback Machine New Jersey Schools Development Authority. Accessed January 8, 2017. ^ District information for Newark Public School District, National Center for Education Statistics. Accessed December 7, 2016. ^ Staff. "2010 Top High Schools", New Jersey Monthly, August 16, 2010. Accessed February 14, 2012. ^ Margolin, Josh. "Facebook CEO Zuckerberg announces $100M grant to Newark schools on Oprah Winfrey show", NJ.com Statehouse Bureau, September 24, 2010. Accessed June 13, 2016. "Facebook CEO Mark Zuckerberg just announced on the Oprah Winfrey show that the title of a program to pump $100 million into the Newark school system is the 'Start Up Education Foundation.'" ^ History Archived July 27, 2011, at the Wayback Machine Robert Treat Academy Charter School. Accessed September 13, 2011. ^ University Heights Charter School wins national award Archived March 22, 2016, at the Wayback Machine LocalTalkNews.com. Accessed February 19, 2012. ^ About Us, Gray Charter School. Accessed February 19, 2012. ^ About NCA Archived November 21, 2007, at the Wayback Machine Newark Collegiate Academy. Accessed February 19, 2012. ^ Essex County Catholic High Schools, Roman Catholic Archdiocese of Newark. Accessed May 20, 2017. ^ About NBCS Archived November 13, 2016, at the Wayback Machine Newark Boys Chorus School. Accessed November 12, 2016. ^ Annual Report 2014–2015, University Heights Charter School. Accessed June 13, 2016. ^ New Jersey's Long-Range Transportation Plan: Urban Supplement Report, City of Newark, New Jersey Department of Transportation, September 2008. Accessed June 13, 2016. ^ 2015 North American (ACI-NA) Top 50 airports Archived August 28, 2016, at the Wayback Machine, Airports Council International-North America. Accessed August 12, 2016. ^ Lipton, Eric. "New York Port Hums Again, With Asian Trade", The New York Times, November 22, 2004. Accessed June 26, 2012. "Last year, $100 billion worth of wares moved through the port, up 12 percent in just a year." ^ Solarino, Audrey. "The history of the Morris Canal", Suburban Trends, May 20, 2010. Accessed June 28, 2012. ^ Drummond, James O. Transportation and the Shaping of the Physical Environment in an Urban Place: Newark, New York University dissertation. ^ Essex County Mileage by Municipality and Jurisdiction, New Jersey Department of Transportation, May 2010. Accessed July 18, 2014. ^ McGeehan, Patrick. "Commuters Feel Pinch as Christie Tightens", The New York Times, May 16, 2011. Accessed June 26, 2012. "Without the Port Authority money, Mr. Simpson said, New Jersey would have to spend about $30 million a year just to keep the Pulaski Skyway – a 70-year-old bridge that serves as a link between Newark Liberty International Airport and the Holland Tunnel – from falling down. Now, it will invest about $900 million over five years to 'basically rebuild the whole bridge.'" ^ On Broadway, NewarkHistory.org. Accessed June 26, 2012. "Newark's Broadway was called Belleville Avenue in the Nineteenth Century. Like Springfield Avenue, Bloomfield Avenue, and South Orange Avenue, Broadway is one of Newark's great radial streets. The name of the street, for reasons unknown to me, was changed from Belleville Ave to Broadway in the early Twentieth century." ^ Communities in any state having populations between 250000 and 999999999, Bikes at Work, backed up by the Internet Archive as of October 6, 2012. Accessed September 10, 2015. ^ "Car Ownership in U.S. Cities Data and Map". Governing. Retrieved May 20, 2018. ^ Greater Newark Bus System Study Archived July 25, 2013, at the Wayback Machine North Jersey Transportation Planning Authority. Accessed June 26, 2012. "Approximately 50 of these bus routes, operated by NJ TRANSIT and Coach USA, converge in the City of Newark, making it a critical hub for people transferring between buses, as well as between bus and rail." ^ Essex County Bus/Rail Connections, NJ Transit, backed up by the Internet Archive as of May 22, 2009. Accessed August 26, 2011. ^ GoBus 25, NJ Transit. Accessed April 7, 2015. ^ GoBus 28, NJ Transit. Accessed April 7, 2015. ^ "Means of Transportation to Work by Age". Census Reporter. Retrieved May 20, 2018. ^ About University Hospital, University Hospital (Newark, New Jersey). Accessed November 27, 2013. ^ Romano, Jay. "A Busy Weekend At Trauma Center", The New York Times, September 19, 1993. Accessed November 27, 2013. "And so began a typical weekend at the busiest trauma center in New Jersey." ^ Keller, Susan Jo. "NEW JERSEY DAILY BRIEFING;Hospitals Consider Partnership", The New York Times, November 6, 1995. Accessed March 11, 2012. "Newark Beth Israel, founded in 1901 and the only hospital in New Jersey that performs heart and lung transplants, has 607 beds and about 3,300 employees." ^ What Is, Columbus Hospital LTACH. Accessed August 30, 2015. ^ Heininger, Claire. "Two Newark hospitals to close under deal; Mayor Booker 'furious'", The Star-Ledger, January 10, 2008. Accessed June 21, 2016. "Two struggling Newark hospitals – Saint James and Columbus – will close their doors this spring, while the city's third Catholic hospital will receive an infusion of cash under an agreement reached tonight." ^ "Public Announcement: Closure of Mount Carmel Guild Behavior Health Hospital", Catholic Charities of the Archdiocese of Newark, January 31, 2010. Accessed June 21, 2016. ^ Hull, Sarah. United Hospitals Medical Center Records 1873–1996, University of Medicine and Dentistry of New Jersey University Libraries Special Collections, July 1998, backed up by the Internet Archive as of February 24, 2010. Accessed June 21, 2016. ^ University Hospital Emergency Medical Services Archived January 8, 2012, at the Wayback Machine The University Hospital. Accessed June 26, 2012. "Ranking among the top providers in the country and representing among the busiest and most experienced units nationally, in excess of 125,000 requests for service are received annually within our coverage areas." ^ Newark: Fire Incidents in 2006, New Jersey (NJ), CityData.com. Accessed July 9, 2015. ^ Steadman, Andrew. "Bayonne firefighters participate in mock disaster drills in Newark", The Jersey Journal, May 1, 2012. Accessed August 22, 2018. "According to the press release, the Metro USAR Strike Team is made up of nine fire departments from Bayonne, Elizabeth, Hackensack, Hoboken, Jersey City, Newark, Paterson, Morristown as well as the five-municipality North Hudson Regional Fire and Rescue Agency." ^ Queally, James. "Newark to hire 100 more cops after deadliest year since 1990", The Star-Ledger, January 7, 2014. Accessed April 7, 2015. "The department was hammered by layoffs in 2010, during a statewide budget crunch that also led to mass cutbacks in Camden and Trenton. Newark lost 167 officers that year, and only has 1,006 officers in its ranks now." ^ Queally, James. "State Troopers deployed to battle rising Newark crime as part of new initiative", The Star-Ledger, April 16, 2014. Accessed April 7, 2015. ^ Public Safety Archived September 6, 2018, at the Wayback Machine, Essex County College. Accessed June 14, 2016. ^ Department of Public Safety, New Jersey Institute of Technology. Accessed June 14, 2016. ^ Rutgers Police – Newark Division, Rutgers University Police Department. Accessed June 14, 2016. ^ Fried, Carla. "America's safest city: Amherst, N.Y.; the most dangerous: Newark, N.J", Money, January 1, 1997, Vol. 25, Issue 13, p. 22. Accessed June 21, 2016. ^ Lueck, Thomas J. "As Newark Mayor Readies Crime Fight, Toll Rises", The New York Times, January 8, 2007. Accessed October 6, 2007. "For all of 2006, the police said, Newark had 104 homicides, far below its record of 161 in 1981, but more than in any other year since 1995." ^ Newark and New York Comparative Crime Ratios per 100,000 People, area Connect. Accessed October 7, 2007. ^ Schweber, Nate. "Newark Murder Rate Dropped 30 Percent in 2008", The New York Times, January 3, 2009. Accessed February 15, 2012. "Newark recorded 67 homicides in 2008, according to the police, the fewest since 2002, when there were 65. In 2007, there were 97 homicides; in 2006, just over 100." ^ "Crime in the United States by Metropolitan Statistical Area, 2010" in Crime 2010, Federal Bureau of Investigation. Accessed July 9, 2015. ^ Queally, James. "Newark records first homicide-free month in more than 40 years", The Star-Ledger, April 1, 2010. Accessed July 9, 2015. "For the first time in more than 40 years, an entire calendar month has come and gone without a homicide in the state's largest city. It's been 32 days since a homicide took place in Newark, marking the first time there has been a slay-free calendar month in the city since 1966." ^ Queally, James. "Newark carjackings rise for 3rd straight year", The Star-Ledger, February 3, 2012. Accessed July 9, 2015. "The increases have sparked concerns among business leaders and residents that the state's largest city is once again becoming the 'car theft capital of the world,' a dubious monicker it earned in the 1990s." ^ Eustachewich, Lia. Newark Releases 2011 Crime Statistics, Newark Patch. January 26, 2012. Accessed May 3, 2012. ^ Table 4 January to December 2011–2012 Offenses Reported to Law Enforcement by State by City 100,000 and over in population, Crime 2012 • January–December 2012 Preliminary Annual Uniform Crime Report in the United States 2012, Federal Bureau of Investigation. Accessed December 12, 2013. ^ "Most Dangerous U.S. Cities: 6 – Newark, N.J.", CNNMoney, January 23, 2013. Accessed July 9, 2015. ^ Samaha, Albert. "Newark's 10 Day Stretch of 10 Homicides Reflects Drop in Cop Numbers" Archived December 17, 2013, at the Wayback Machine The Village Voice, September 6, 2013. Accessed July 9, 2015. "And after three years, the cuts to the police budget produced a sad crescendo: In a 10 day stretch, from Monday August 26 to Wednesday September 4, there were 10 homicides in the city, as well as three more non-fatal shootings and one non-fatal stabbing." ^ Queally, James; and Gaimbusso, David. "Ten days, 10 dead: Shooting deaths plague Newark", The Star-Ledger, September 5, 2013. Accessed July 9, 2015. ^ Johnson, Anthony. "Newark murders hit triple digits", WABC-TV, December 27, 2013. Accessed July 9, 2015. "Murders in Newark hit triple digits this year for the first time in seven years.... So far in 2013, there have been 102 murders. The last time the murder rate was in triple digits was in 2007 when there were 107 murders." ^ Queally, James. "N.J. homicides soared to seven-year high in 2013 after surges in Newark, Trenton", The Star-Ledger, January 1, 2014. Accessed July 9, 2015. "A Star-Ledger survey of county prosecutors' offices found at least 409 people died violently last year. More than a quarter of those killings took place in Newark, where a spate of Christmas season slayings pushed the homicide total to 111, including one in the final hours of the year. The tally is the highest since 1990." ^ NEW JERSEY Offenses Known to Law Enforcement by City, 2014, Federal Bureau of Investigation. Accessed June 13, 2016. ^ Ivers, Dan. "Declines in Newark, Camden drive N.J. homicides to 5-year low in 2014", NJ Advance Media for NJ.com, January 1, 2015, updated January 5, 2015. "More than a third of those incidents took place in Essex County, where Newark and Irvington accounted for all but five of the county's 117 homicides. The state's largest city totaled 93 for the year – by far the highest in the state, but a sizeable reduction from the 111 it recorded last year." ^ Ivers, Dan. "Despite progress in cities, N.J. homicides jump 4 percent in 2015", NJ Advance Media for NJ.com, January 1, 2016, updated January 14, 2016. Accessed June 13, 2016. "More than a quarter of those slayings took place in Newark, where a bloody finish to the year, which included 25 homicides over November and December, drove the city's total to 105*, according to police department statistics – an uptick of 12 over 2014." ^ Cohen, Noah; and Iati, Marisa. "Homicides dropped by 7 percent in 2017. Here's how many each county had. ", NJ Advance Media for NJ.com, January 8, 2018. Accessed June 11, 2018. "Newark saw homicides fall to a historic low this year, city officials said at a December press conference. The state's largest city saw 72 murders in 2017, a roughly 25 percent decline from the year prior." ^ Yi, Karen. "Homicides hit a low but shootings on the rise in N.J.'s largest city", NJ Advance Media for NJ.com, December 14, 2017. Accessed June 11, 2018. "There were 70 homicides to date this year -- about a 28 percent drop from the year prior, Mayor Ras Baraka said during a press conference on the city's year-end crime statistics at the police-fire communications center. That's 26 fewer murders than last year's 96, officials said." ^ Home Page, Consulate-General of Ecuador. Accessed November 12, 2016. ^ Consulate General of Portugal in Newark, Ministério dos Negócios Estrangeiros. Accessed November 12, 2016. ^ Home Page, Consulado de Colombia en newark. Accessed July 9, 2015. ^ Haddon, Heather. "Saying Arrivederci to N.J.'s Consulate", The Wall Street Journal, September 17, 2013. Accessed July 9, 2015. "The Italian Ministry of Foreign Affairs has decided to close its consulate in Newark, the only full-fledged office in a state renowned as the home of Italian-American pop-culture fixtures such as Frank Sinatra and The Sopranos." ^ Rose, Liza. "Planned closure of Italian consulate in Newark sparks criticism", The Star-Ledger, September 20, 2013. Accessed July 9, 2015. "The Italian consulate in Newark is slated to close in March, passing its jurisdiction over to New York. Although 13 other Italian consulates worldwide are being shuttered due to fiscal woes, the New Jersey office is the only location in the United States that is getting the boot." ^ Home Page Archived February 4, 2009, at the Wayback Machine Consulate of Italy in Newark. Accessed July 9, 2015. "The Consulate Of Italy In Newark, New Jersey Is Closed As Of February 28, 2014." ^ Regan, Brian. Gothic Pride: The Story of Building a Great Cathedral in Newark, p. 227. Rutgers University Press, 2012. ISBN 9780813553467. Accessed July 9, 2015. "1995 – During his visit on October 4, Pope John Paul II designates Sacred Heart a minor basilica." ^ Piazza, Jo. "Dalai Lama's Latest Peace Project: Newark", The Wall Street Journal, May 13, 2011. Accessed July 9, 2015. "The Tibetan spiritual leader has been to 62 countries on six continents in his 75 years on Earth, but until Thursday, he had never had an extended stay in Newark, save for a brief stop in 1990 to consecrate a Buddhist altar at the Newark Museum." ^ Sister Cities International 2015 Membership Directory, p. 42. Sister Cities International. Accessed August 31, 2015. ^ Twin-cities of Azerbaijan, Azerbaijans.com. Accessed August 30, 2015. ^ "Position Paper on Sister State and Sister City Relations Between Australia and China", Australia-China Chamber of Commerce and Industry of New South Wales, dated November 14, 2001. Accessed August 30, 2015. City of Newark, New Jersey (2005). Newark's land use plan including historical data (PDF). Newark, New Jersey. Archived from the original (PDF) on September 28, 2011. Cunningham, John T. (1966). Newark. Newark, New Jersey: New Jersey Historical Society. Galishoff, Stuart (1988). Newark: The Nation's Unhealthiest City, 1832–1895. New Brunswick, New Jersey: Rutgers University Press. Shales, Ezra (2010). Made in Newark: Cultivating Industrial Arts and Civic Identity in the Progressive Era. New Brunswick, New Jersey: Rivergate Books/Rutgers University Press. Strummer, Helen M. (1994). No Easy Walk: Newark, 1980–1993. Philadelphia: Temple University Press. Wikimedia Commons has media related to Newark, New Jersey. Wikivoyage has a travel guide for Newark, New Jersey. Wikisource has the text of a 1911 Encyclopædia Britannica article about Newark, New Jersey.